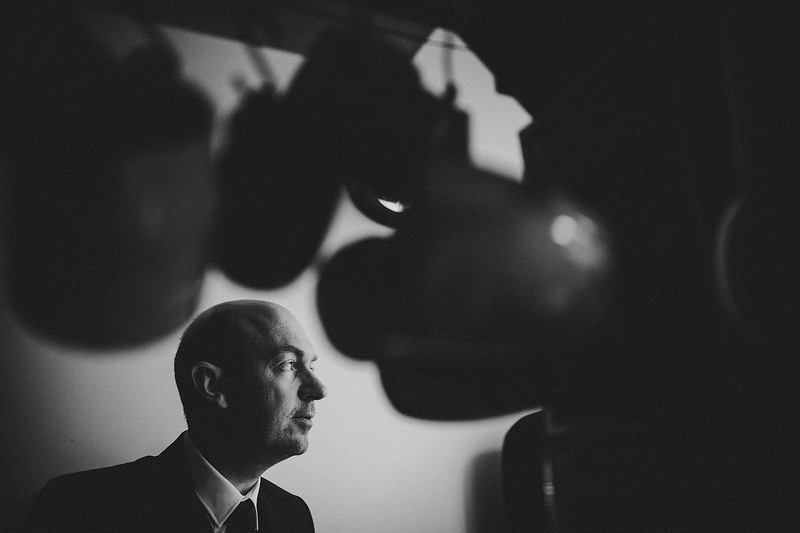 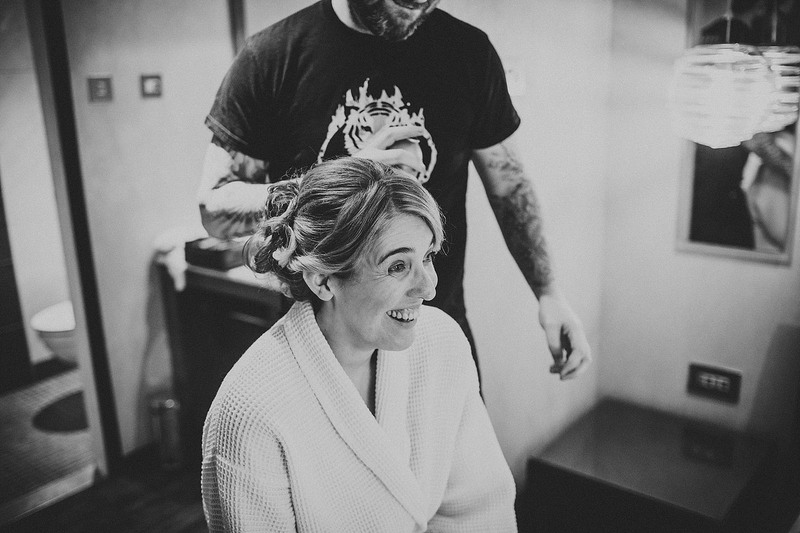 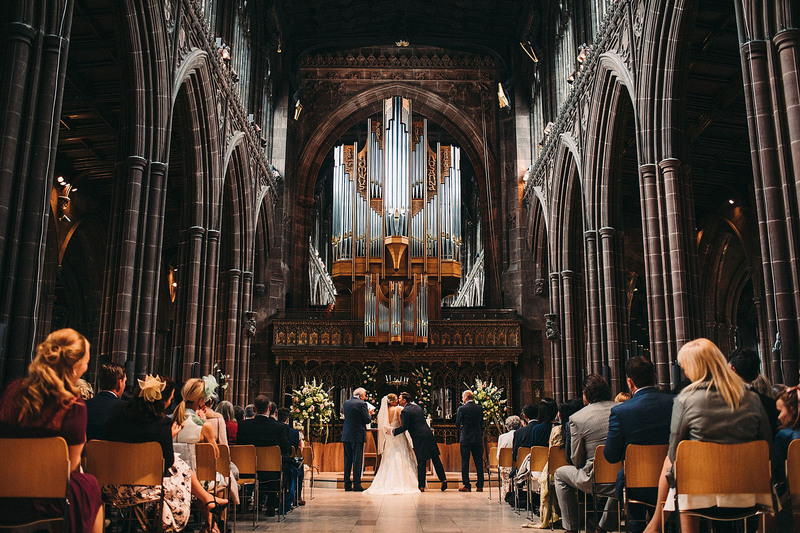 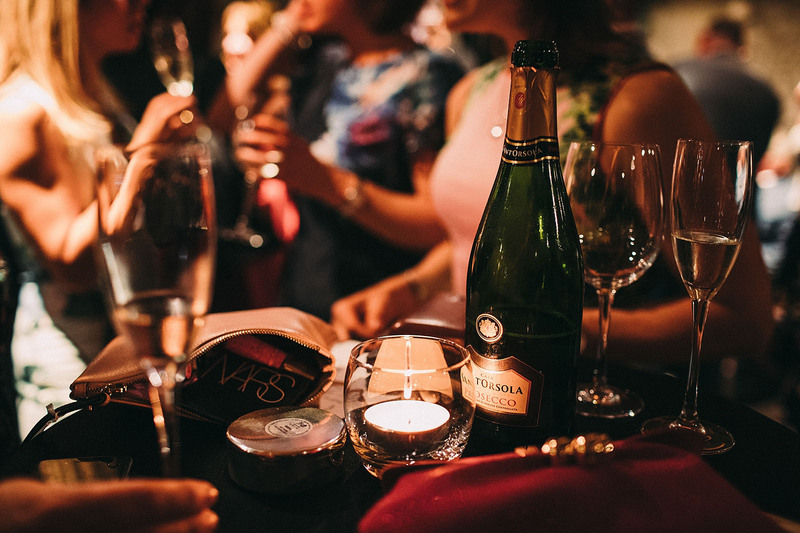 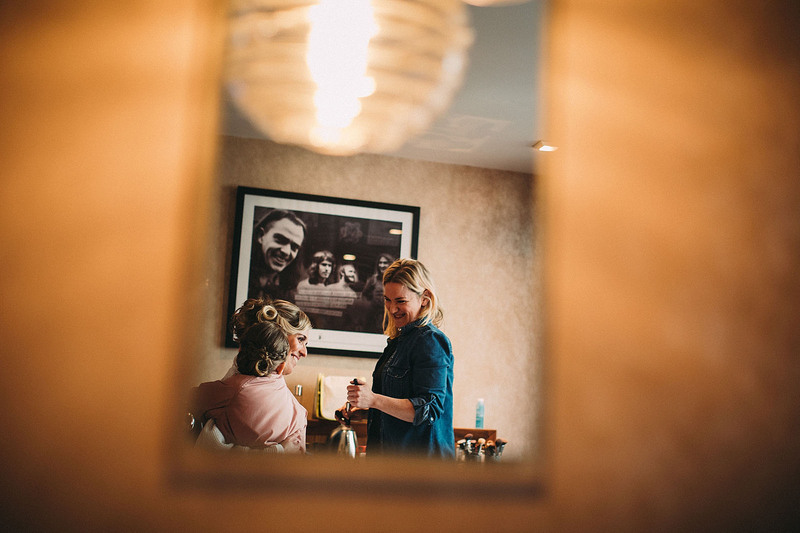 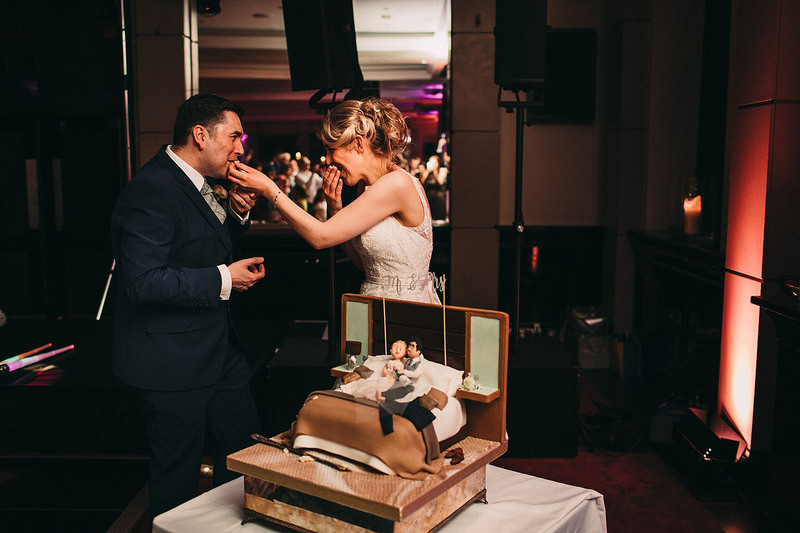 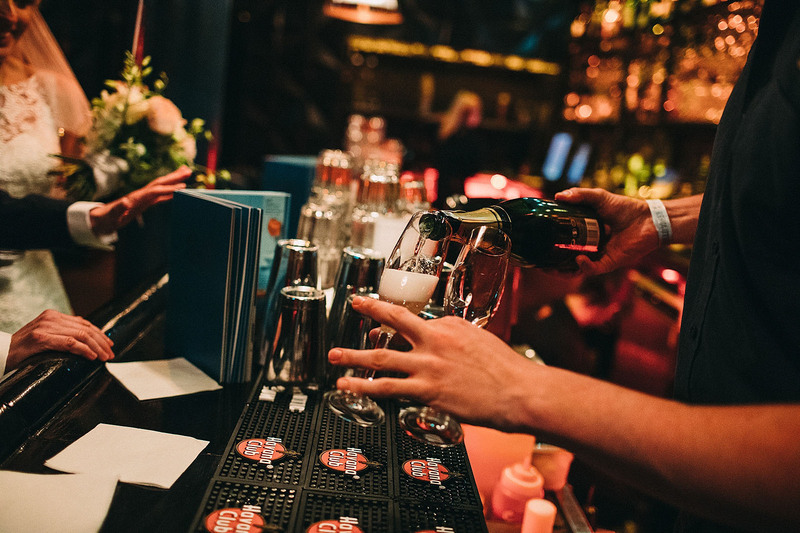 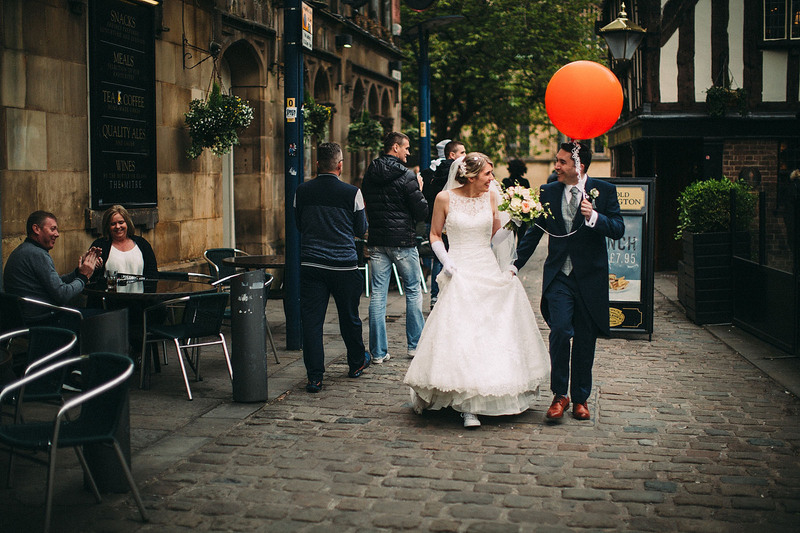 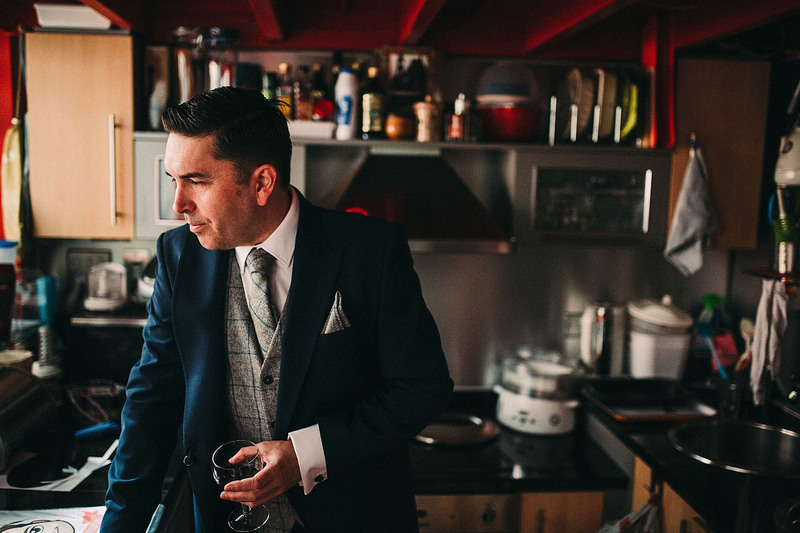 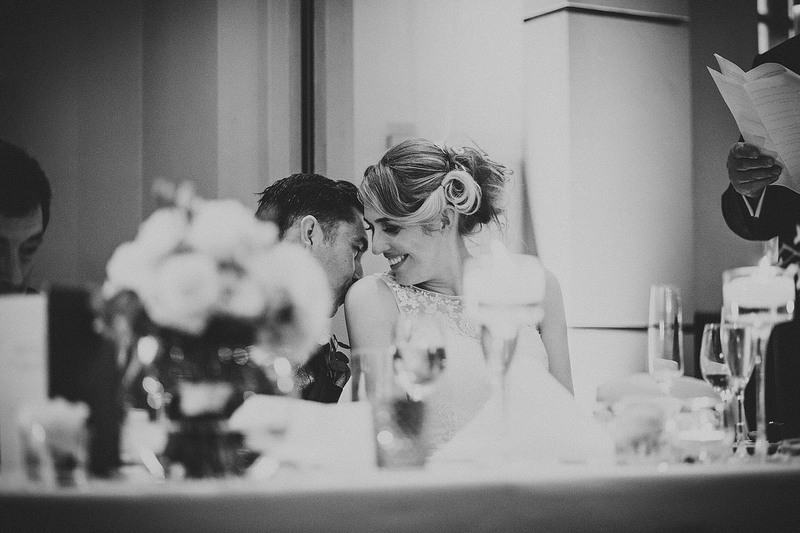 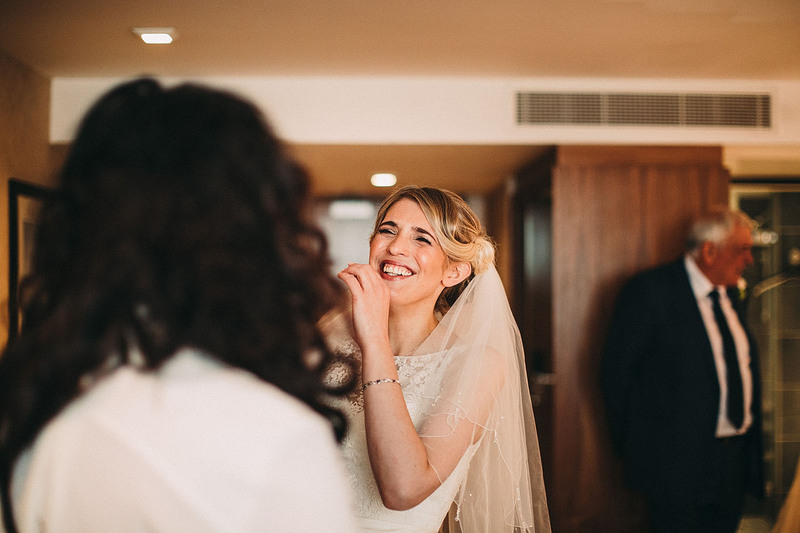 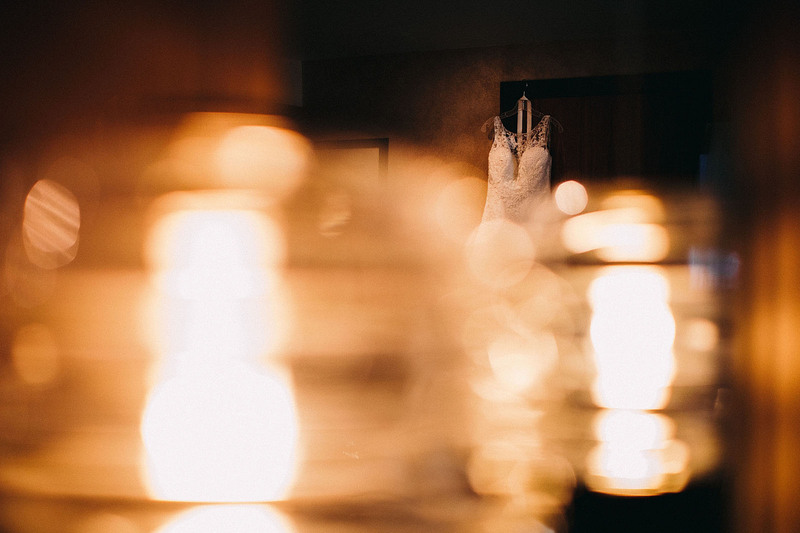 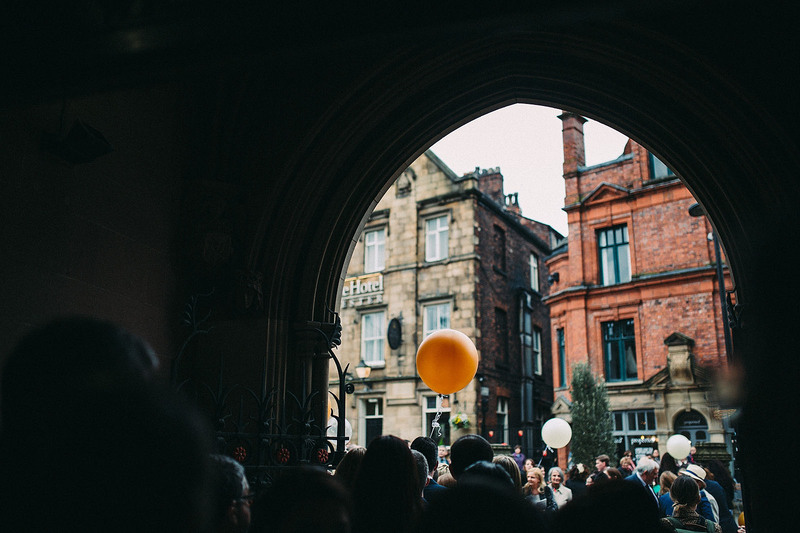 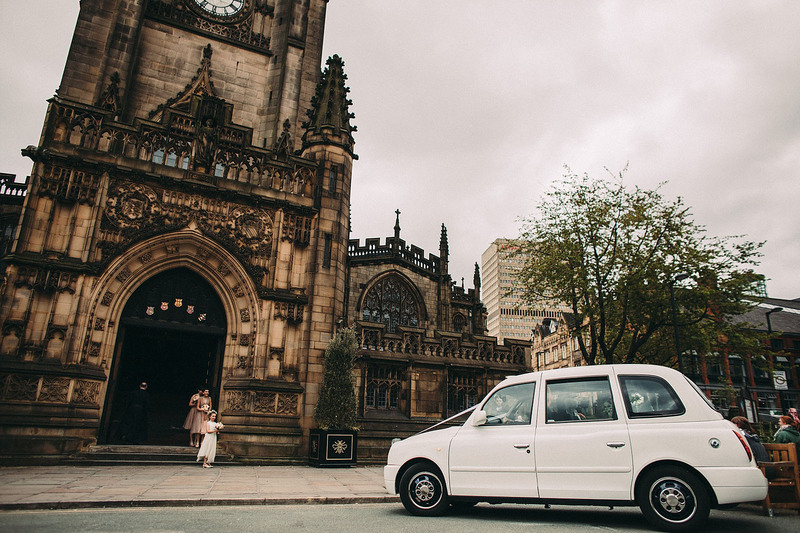 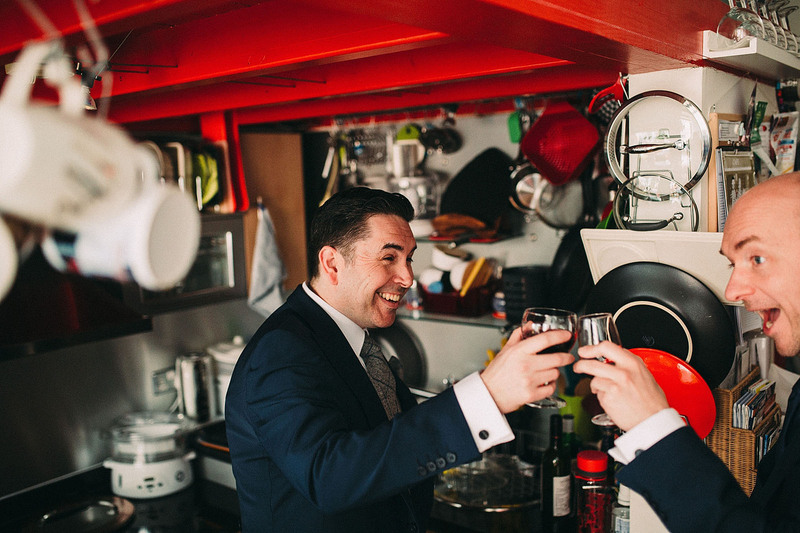 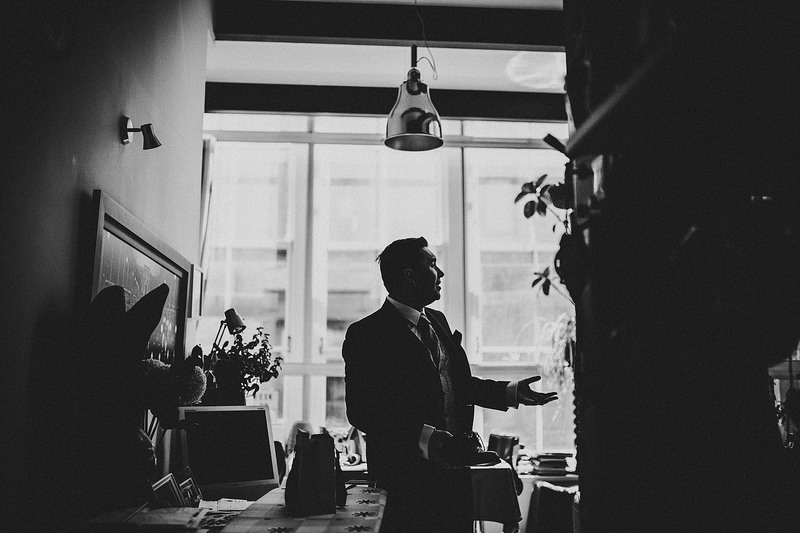 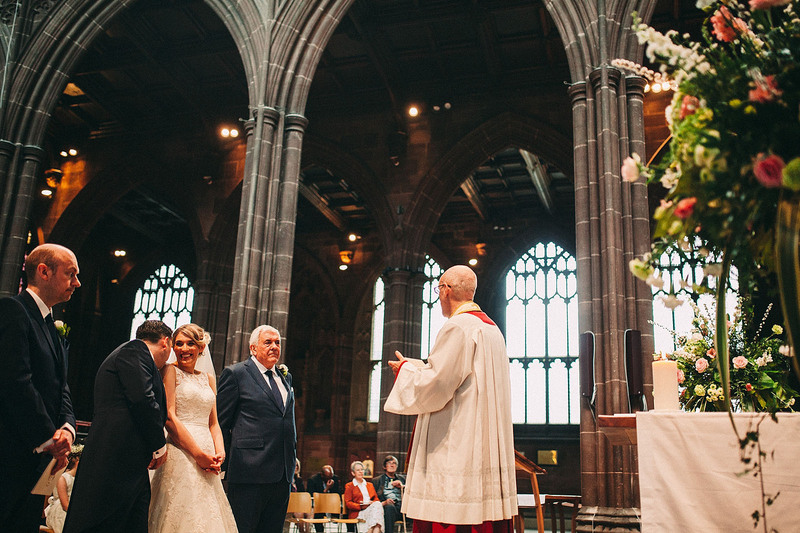 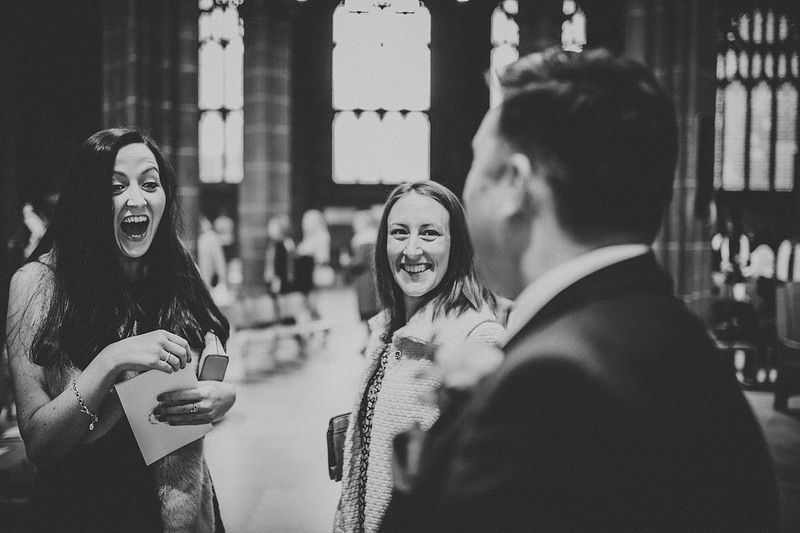 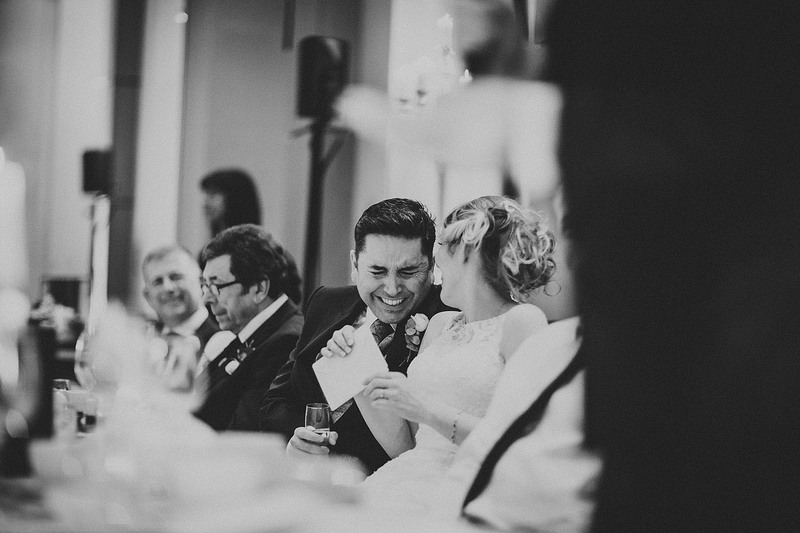 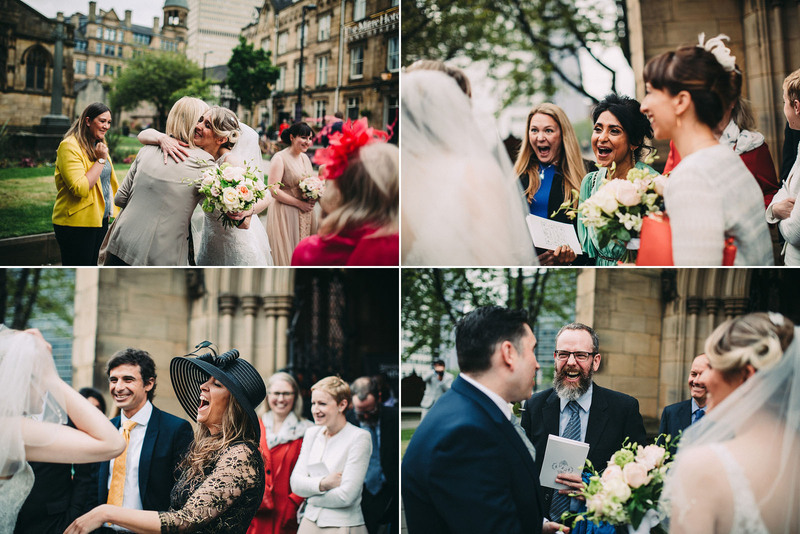 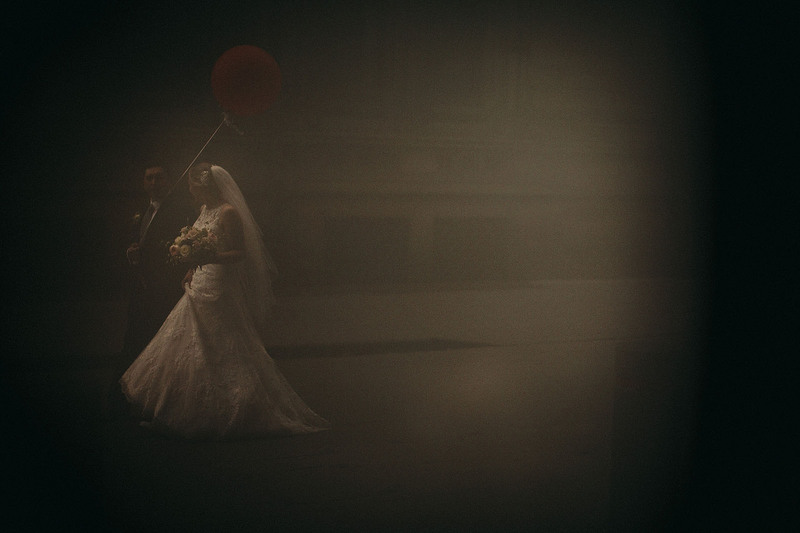 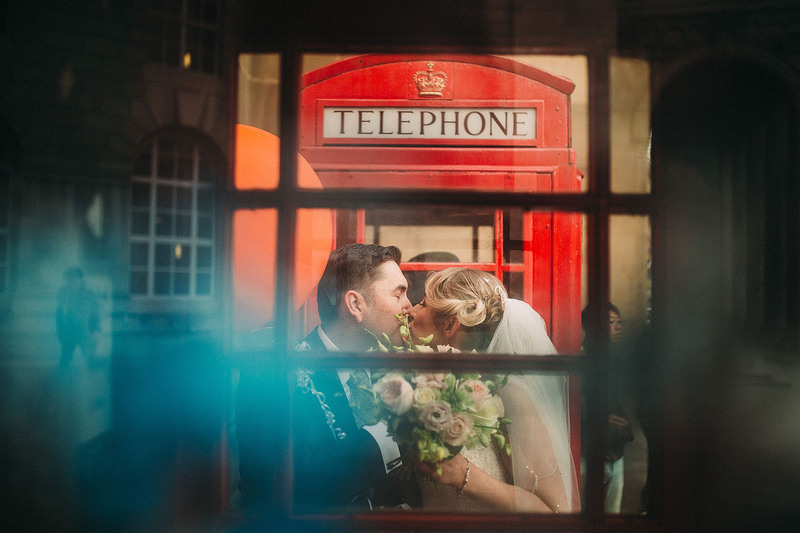 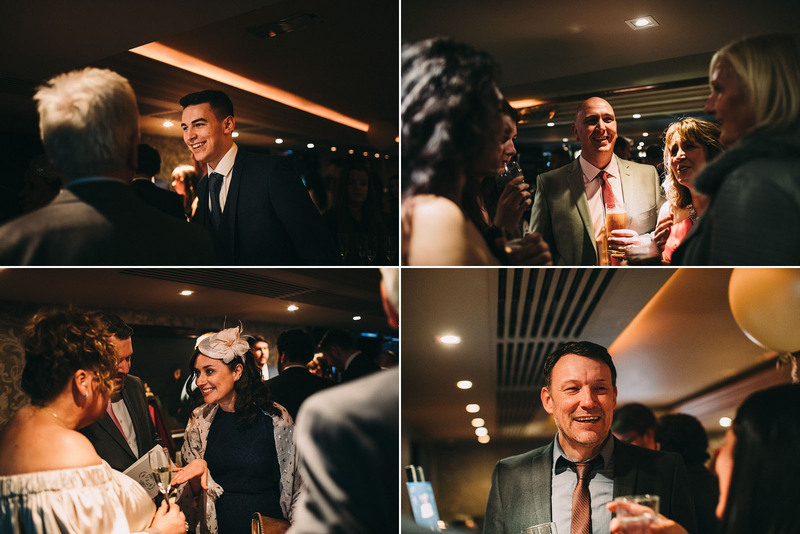 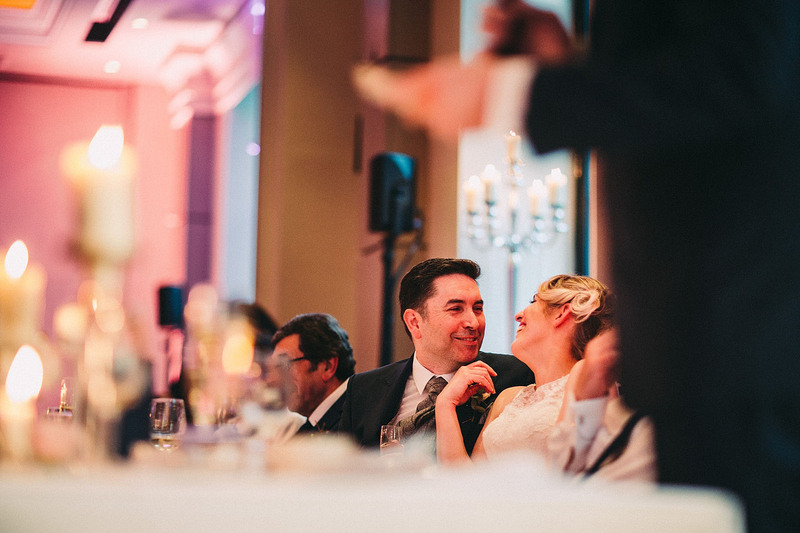 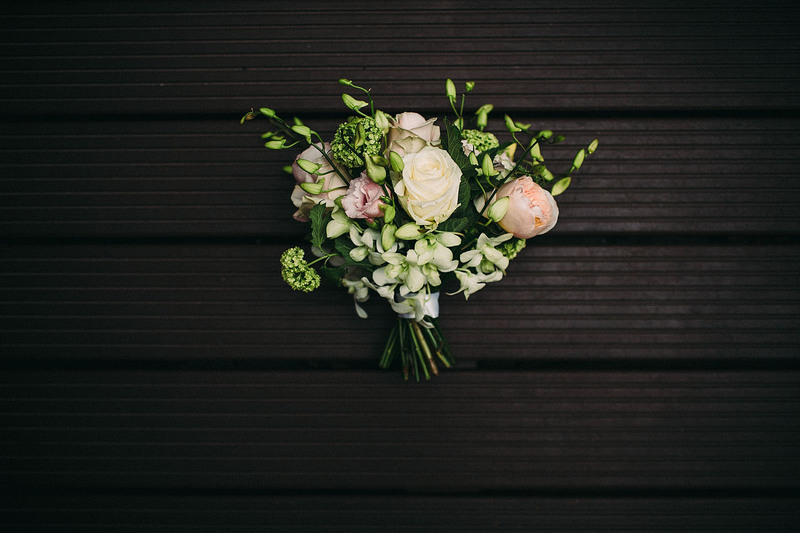 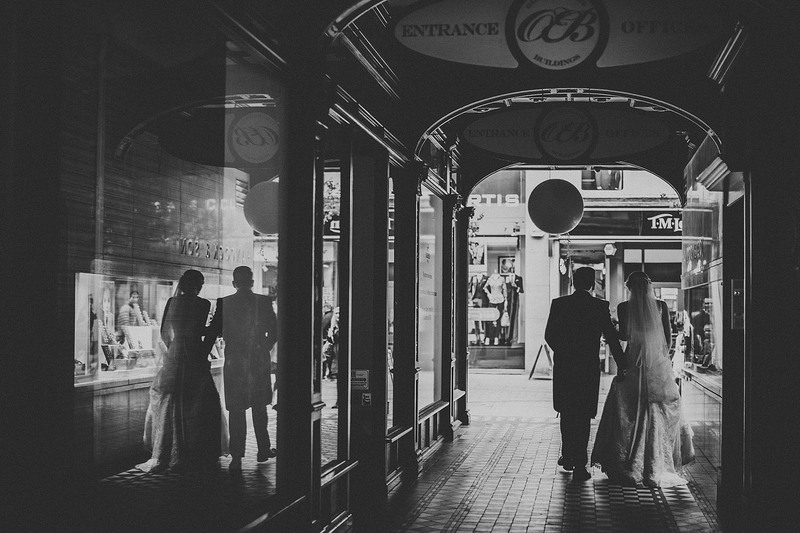 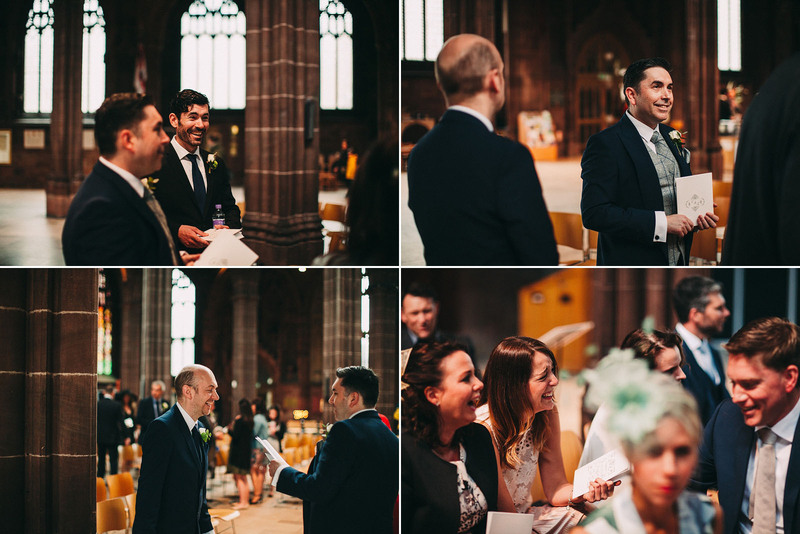 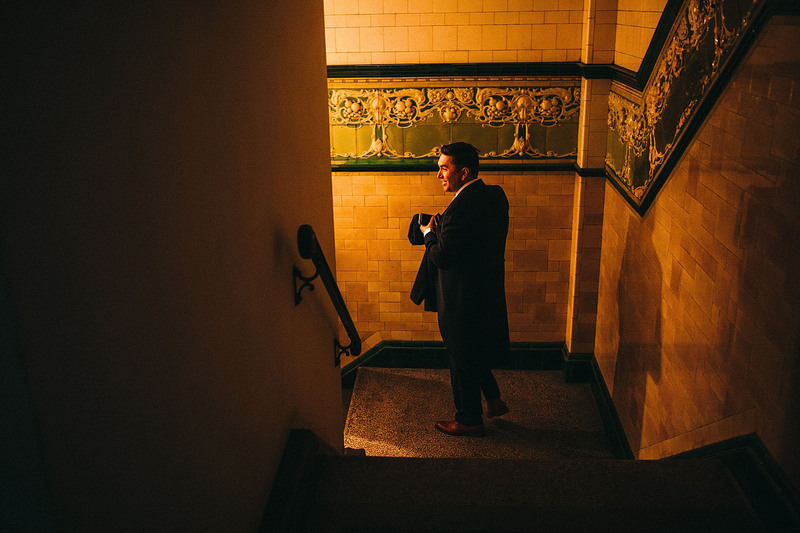 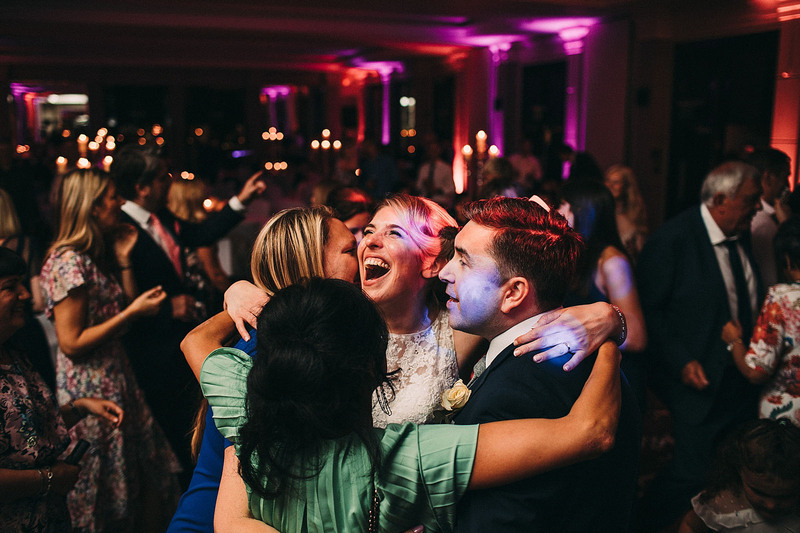 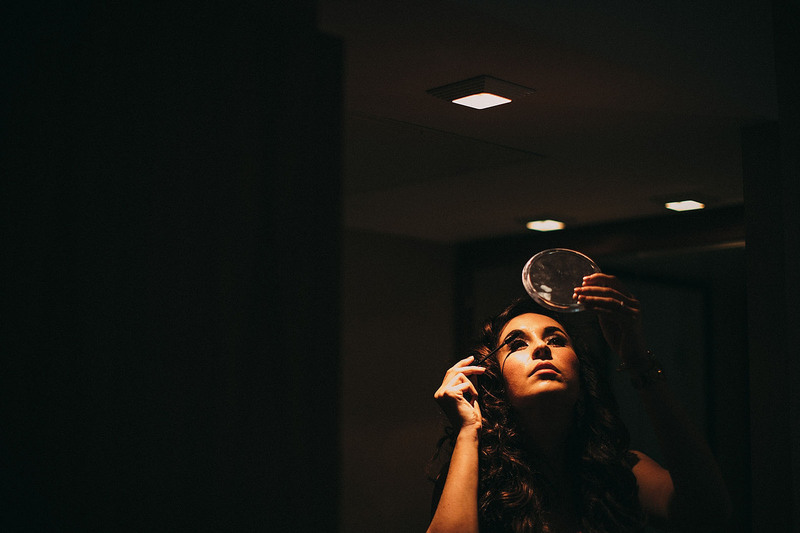 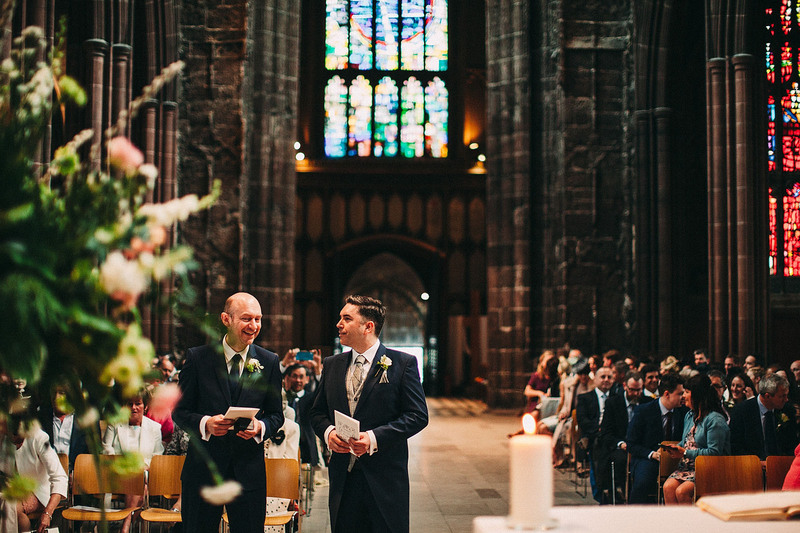 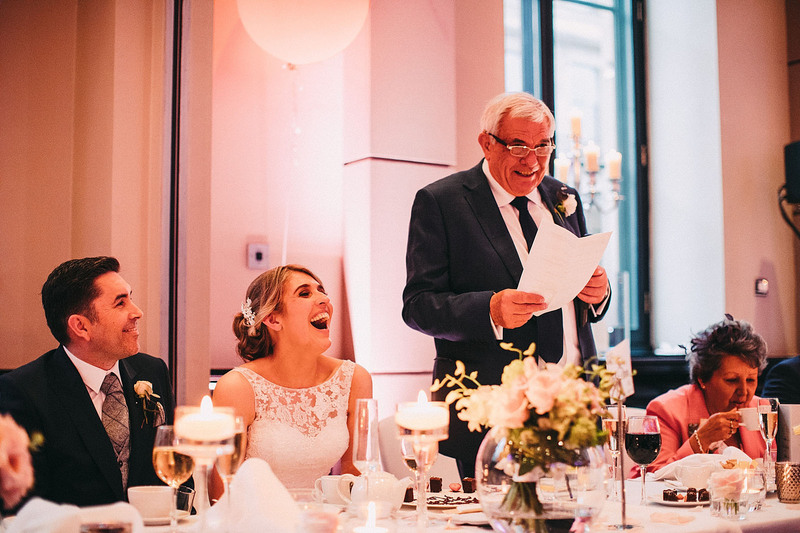 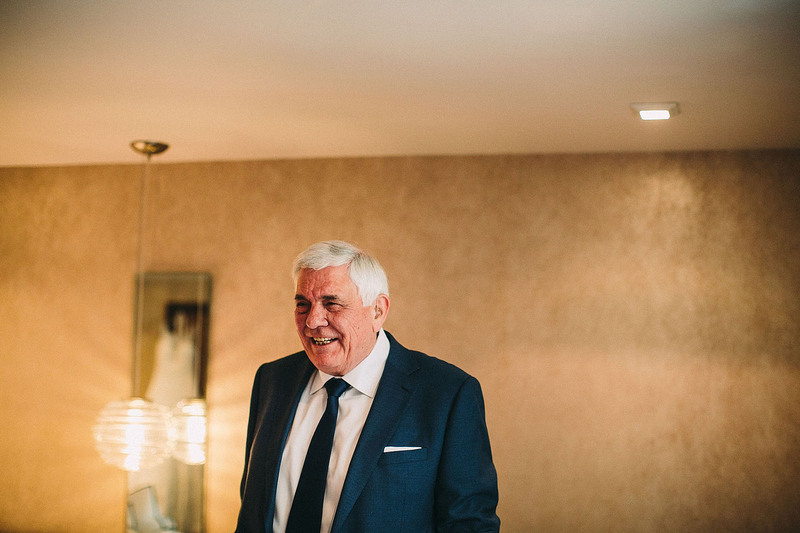 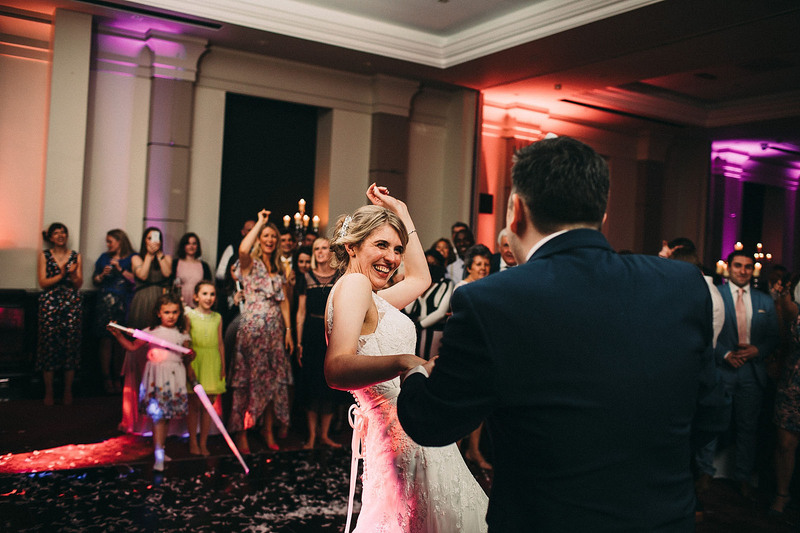 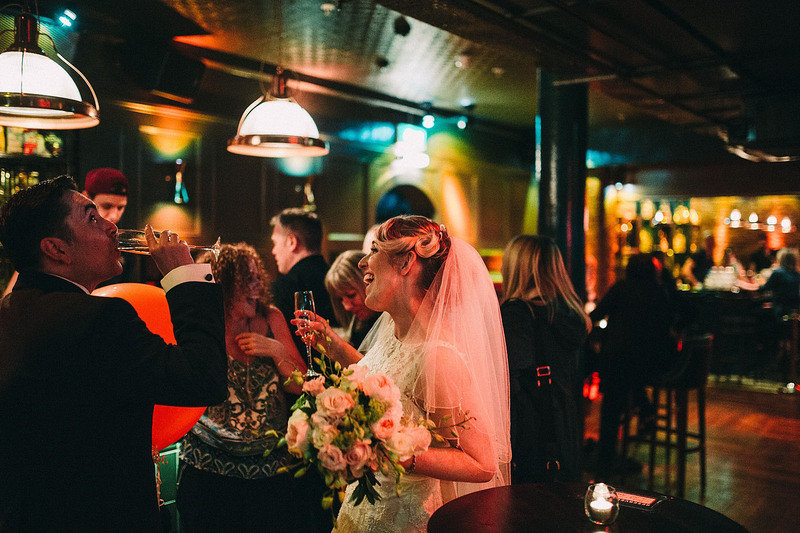 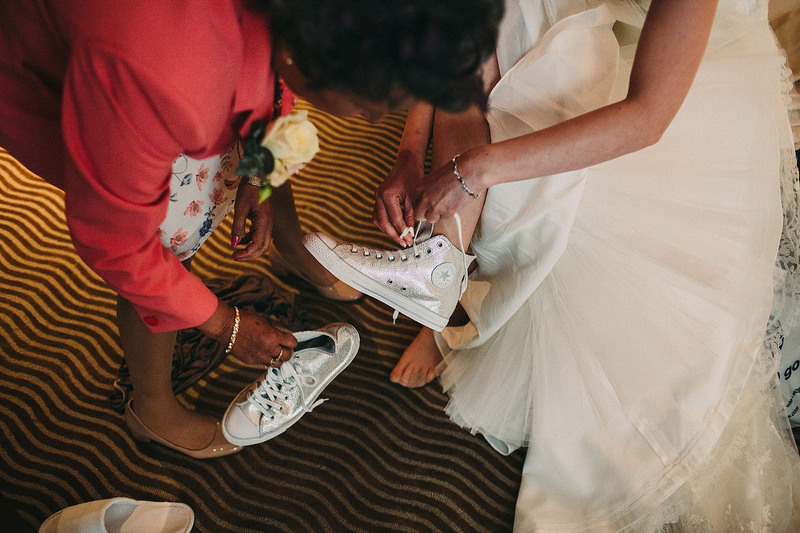 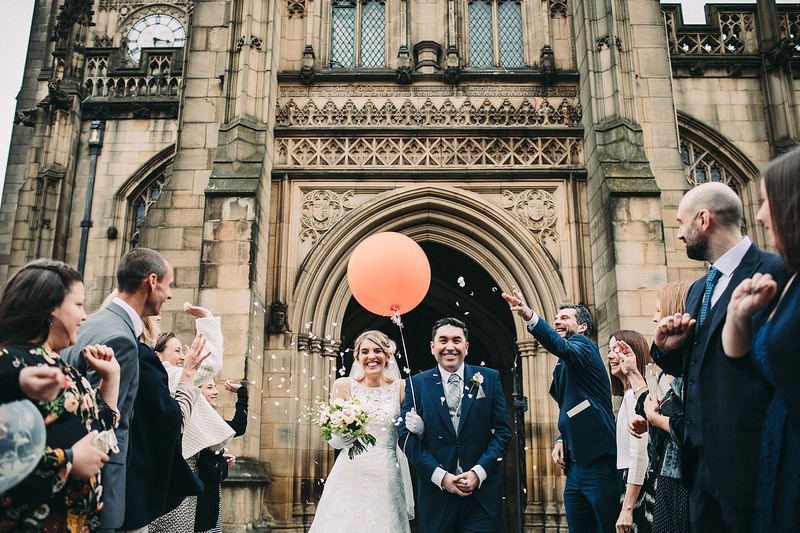 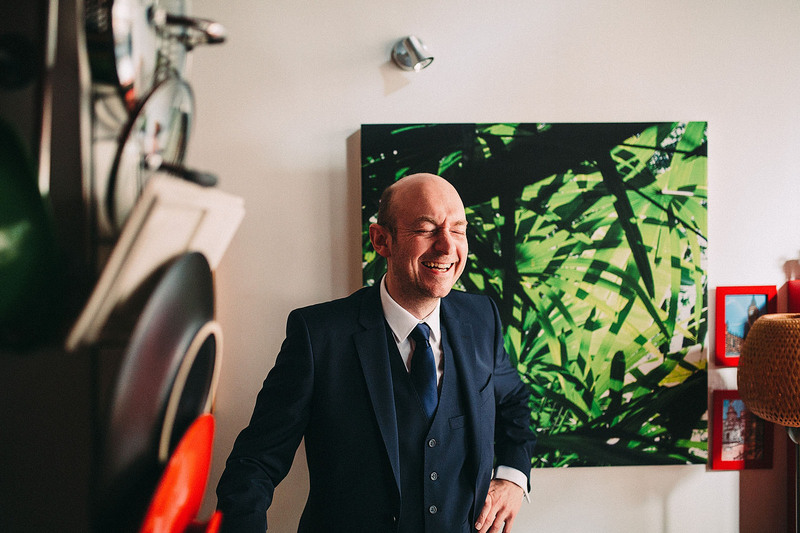 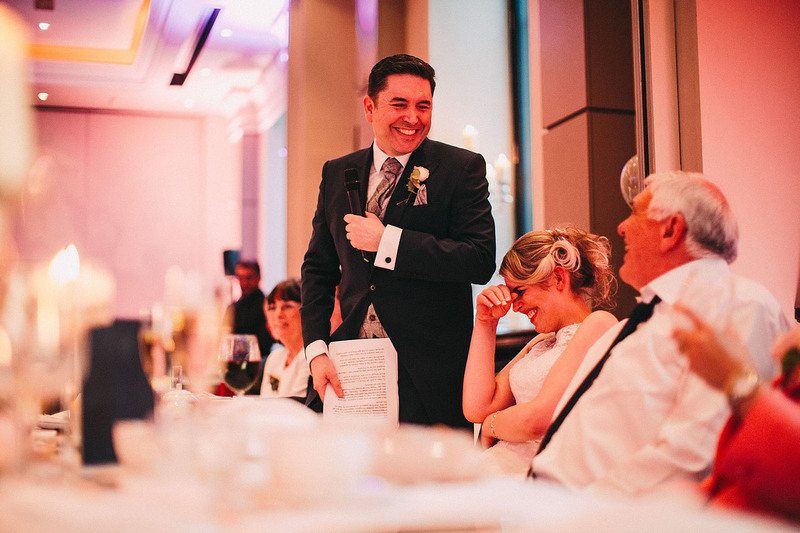 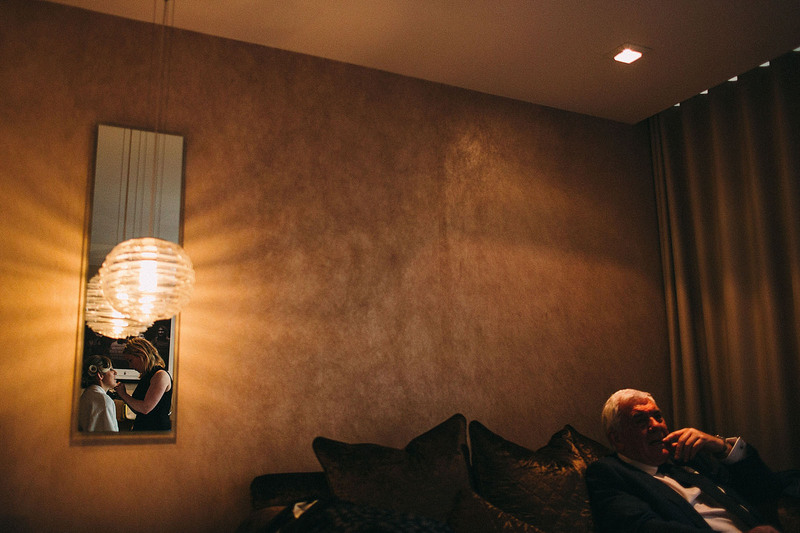 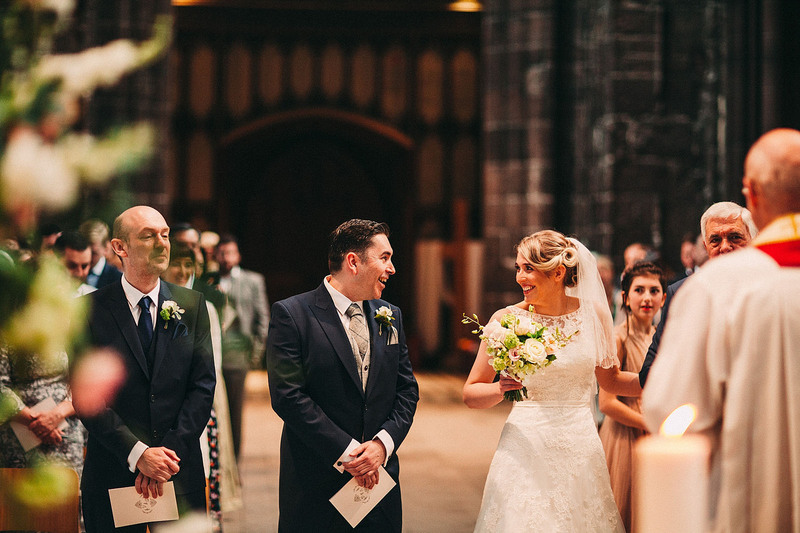 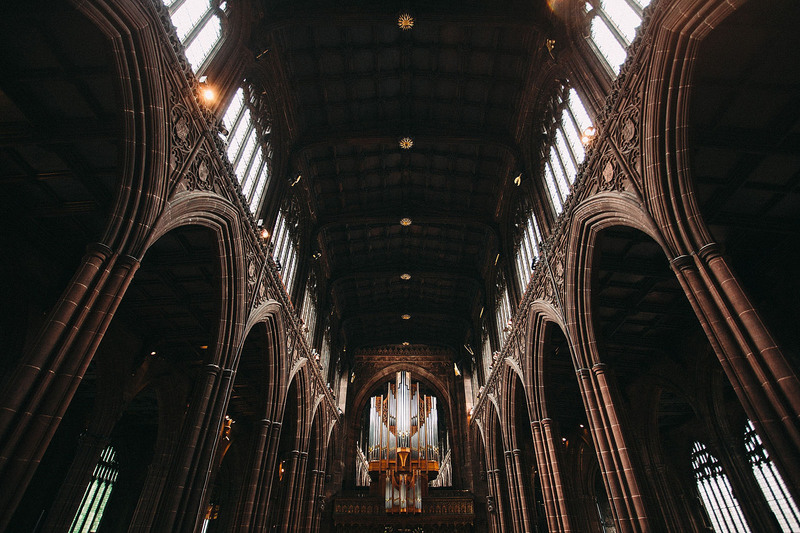 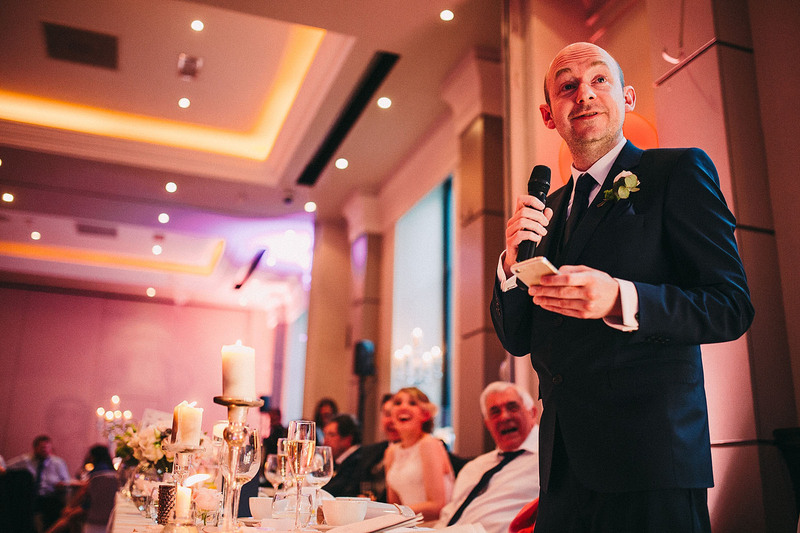 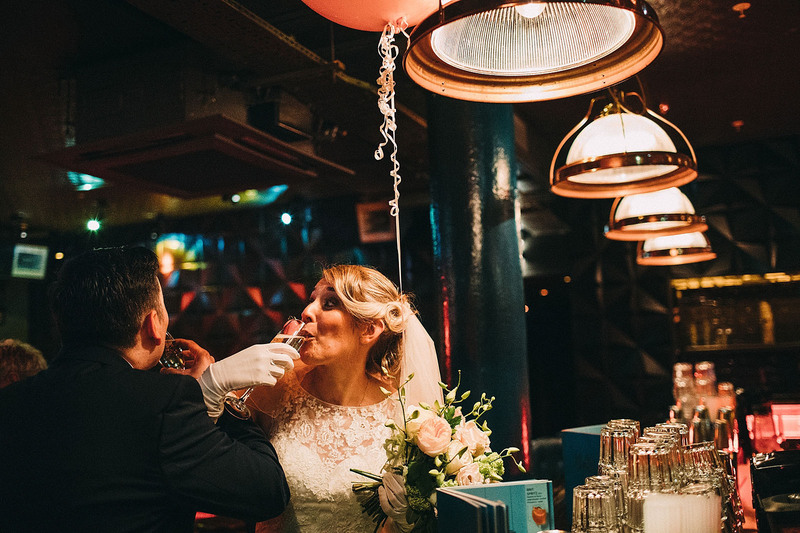 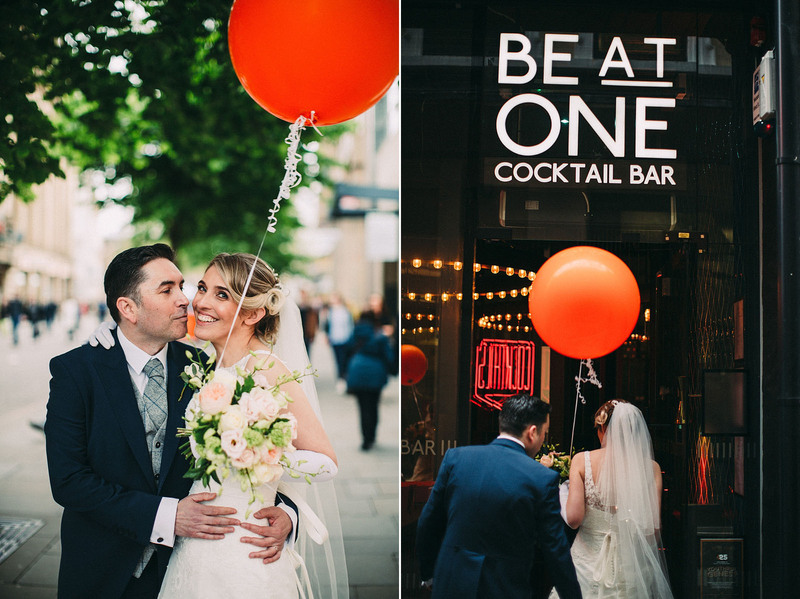 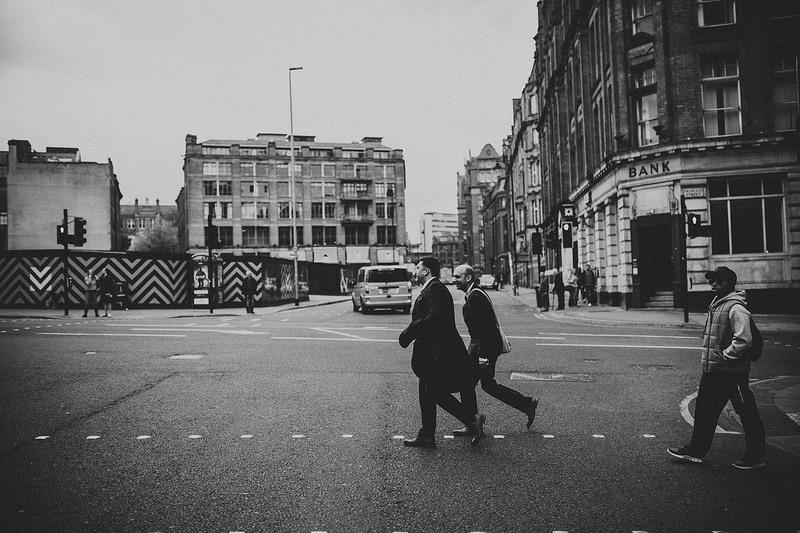 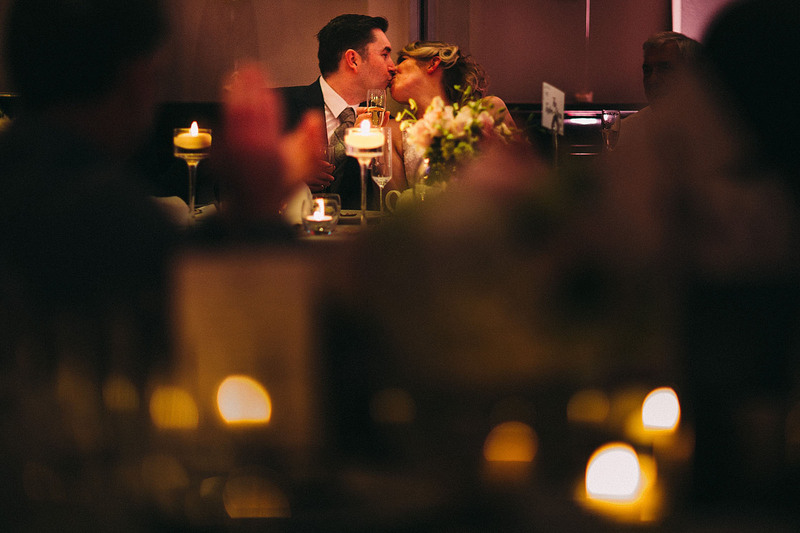 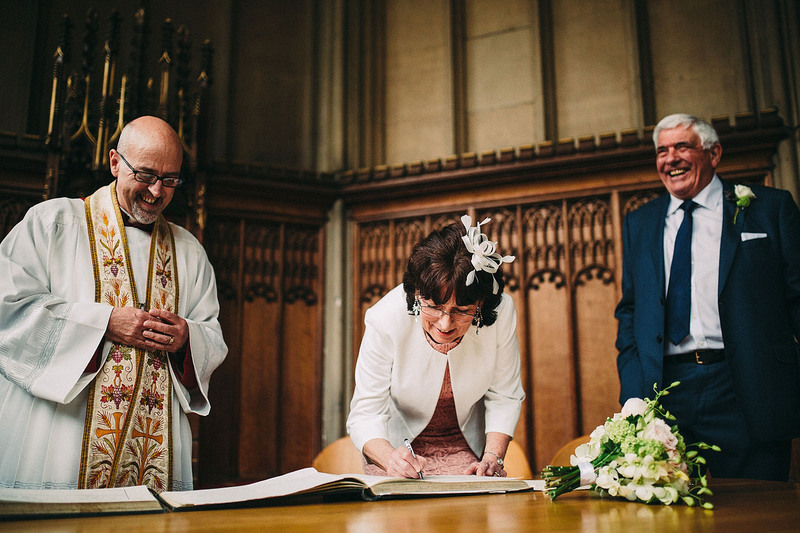 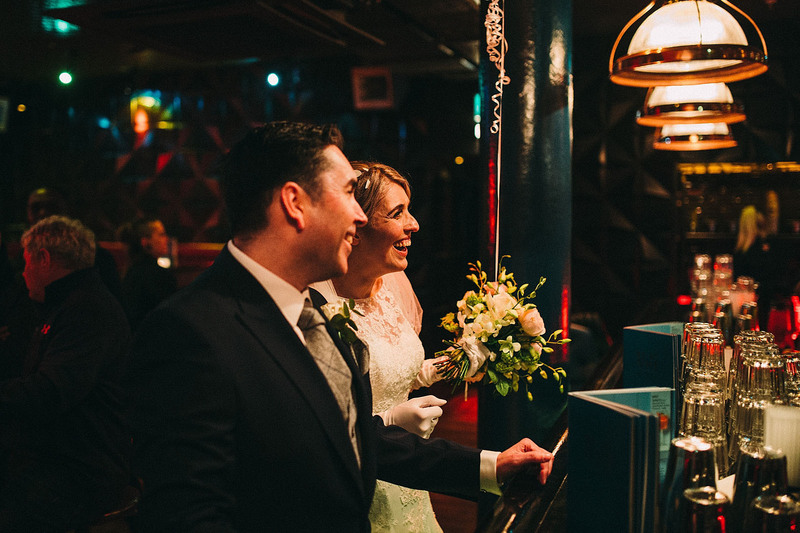 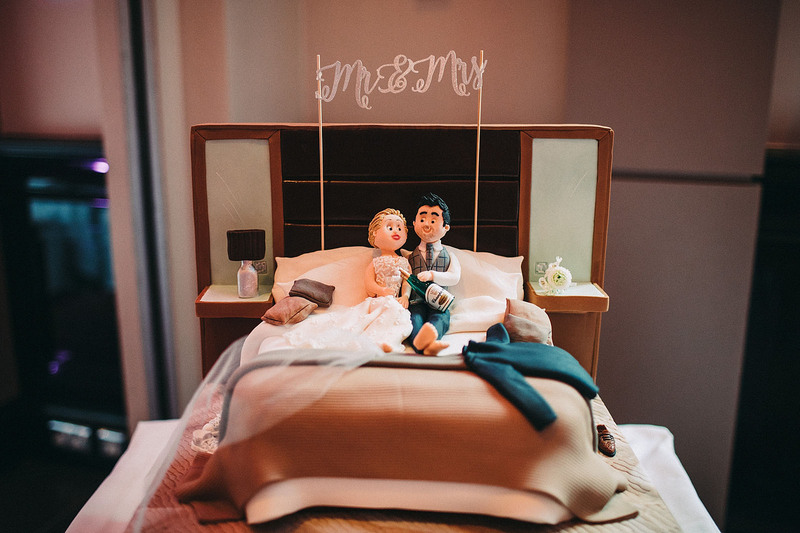 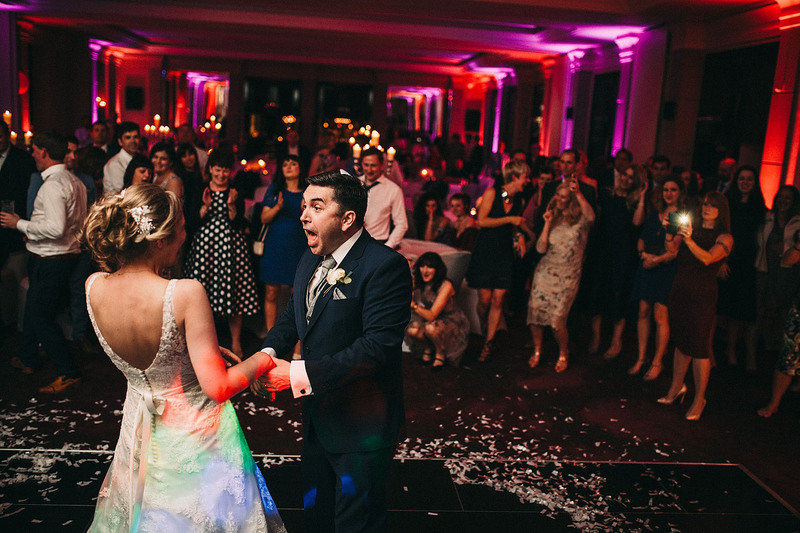 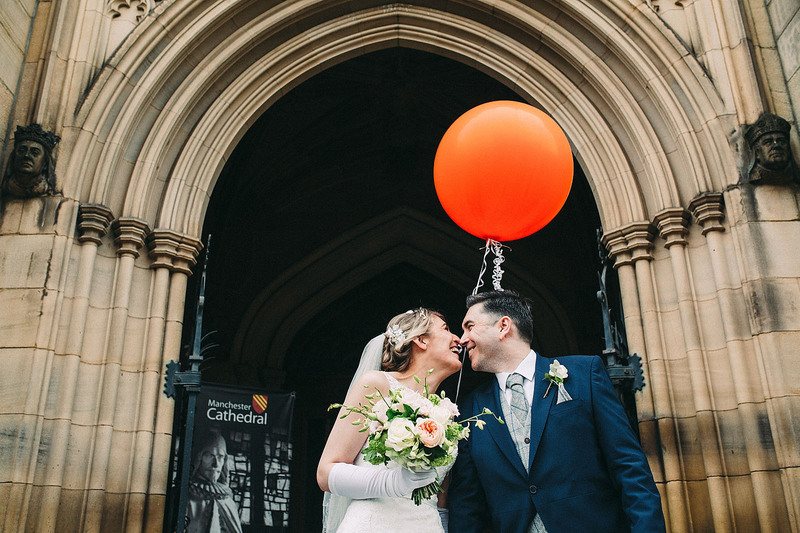 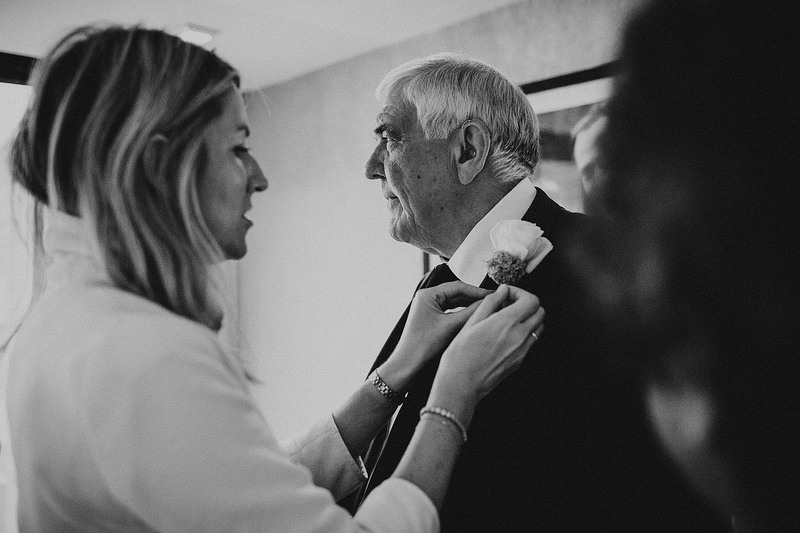 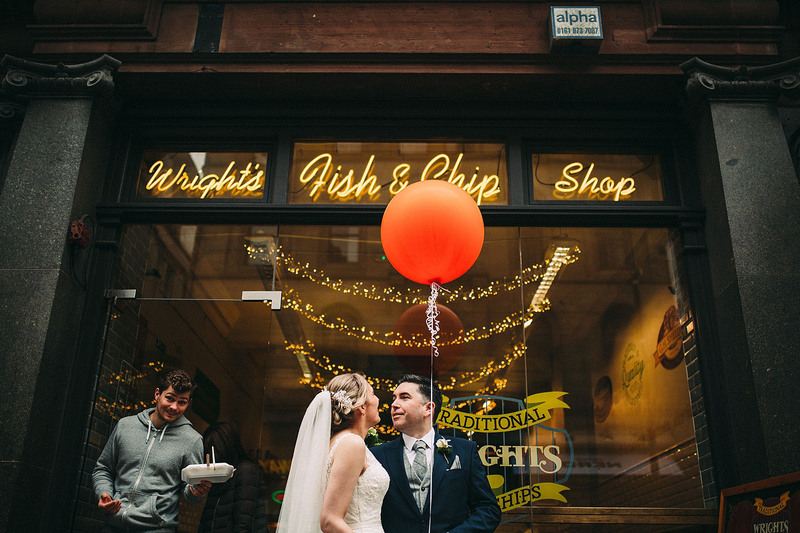 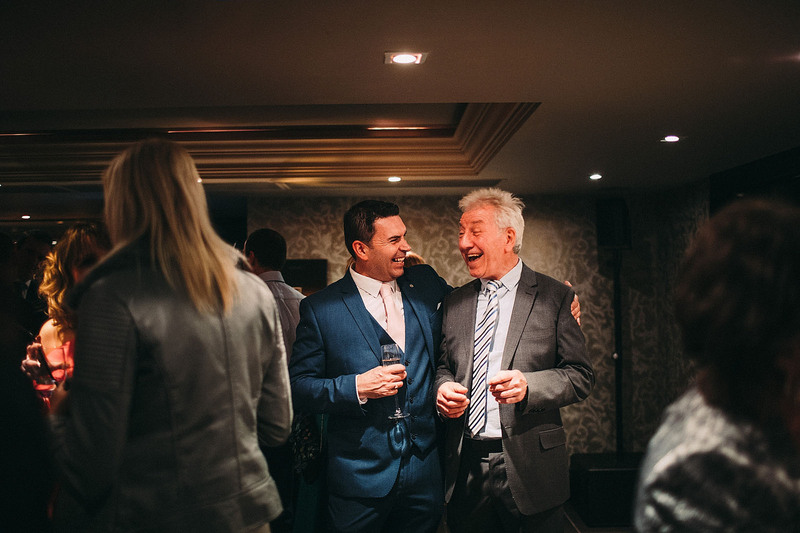 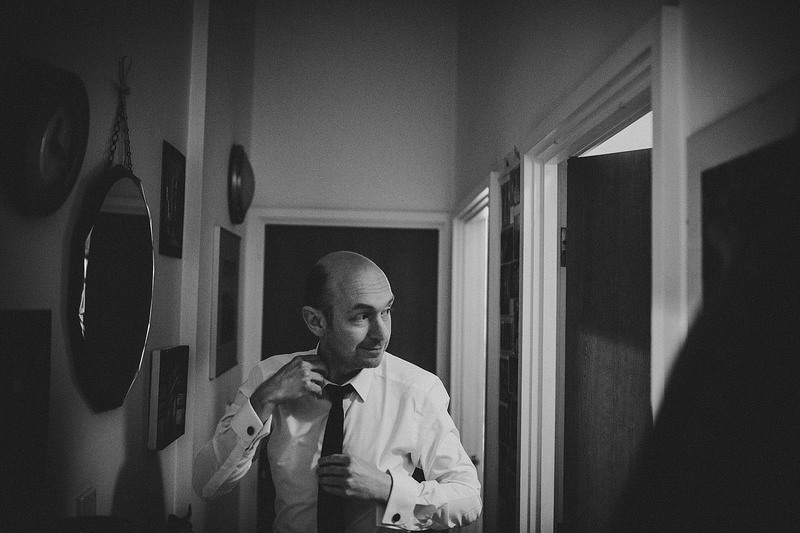 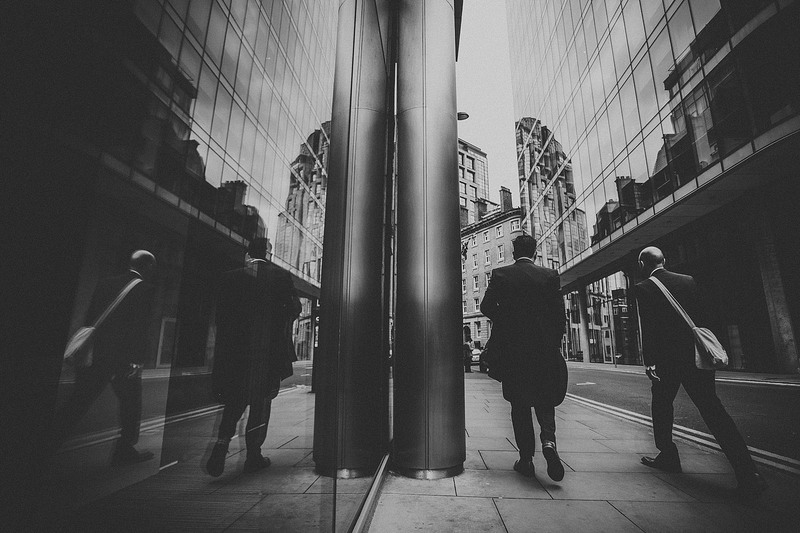 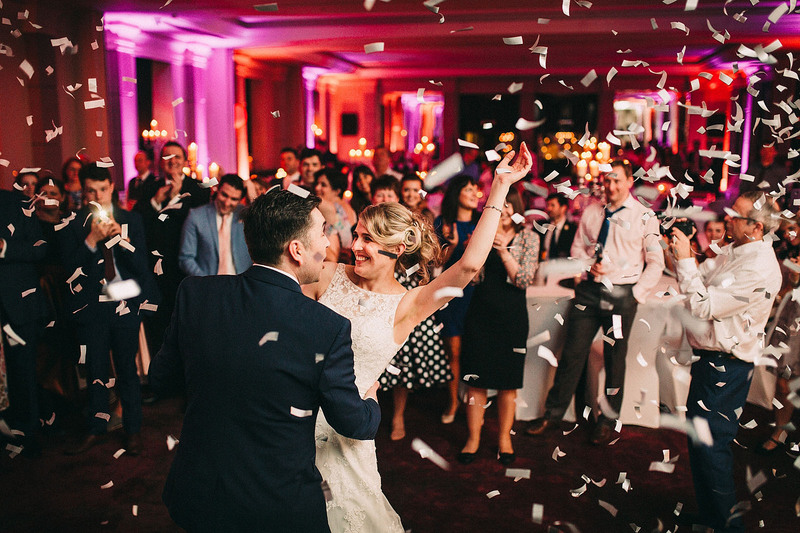 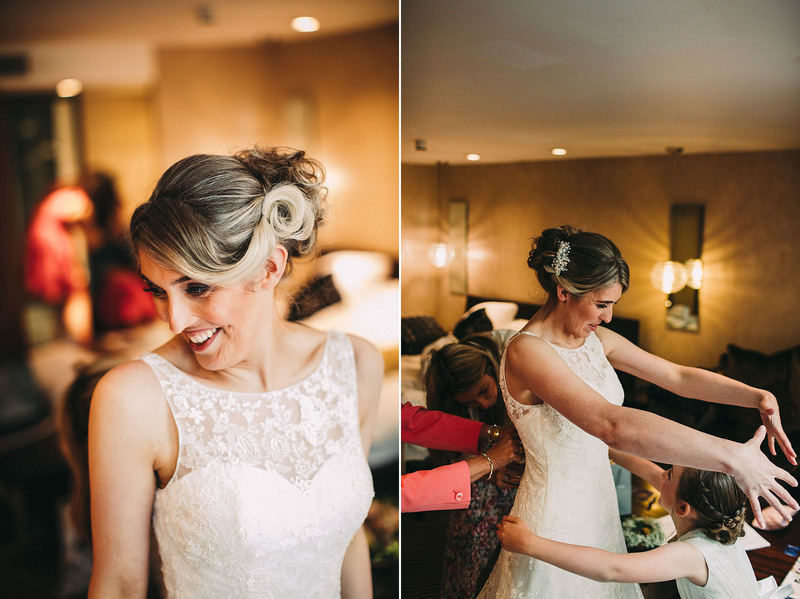 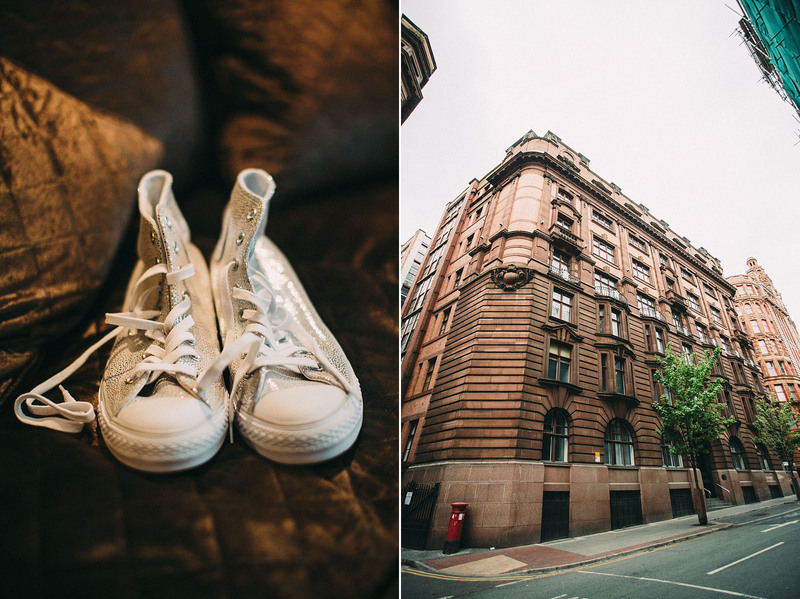 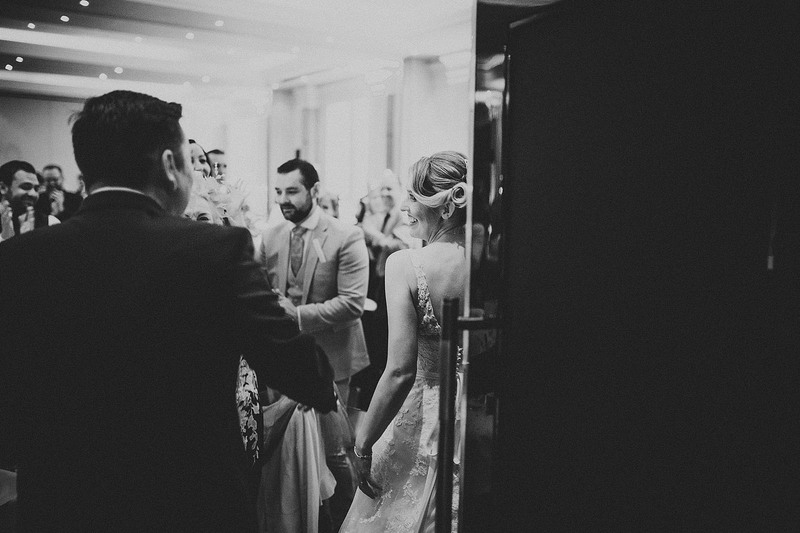 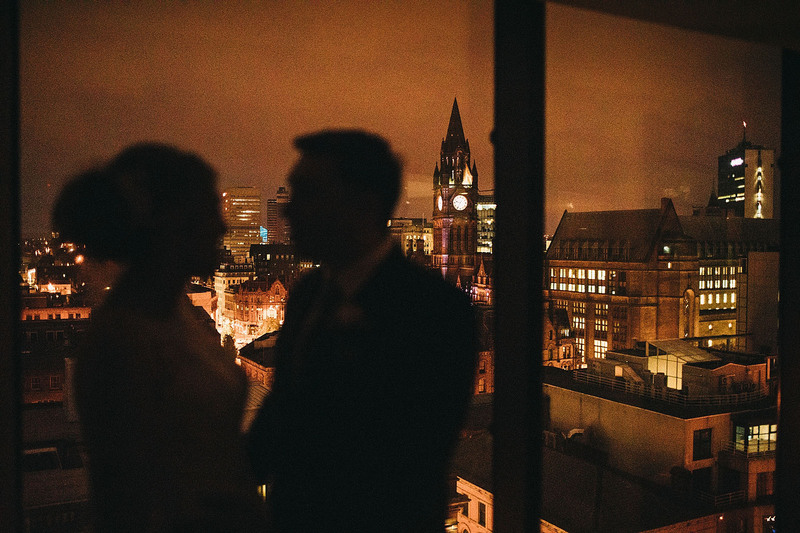 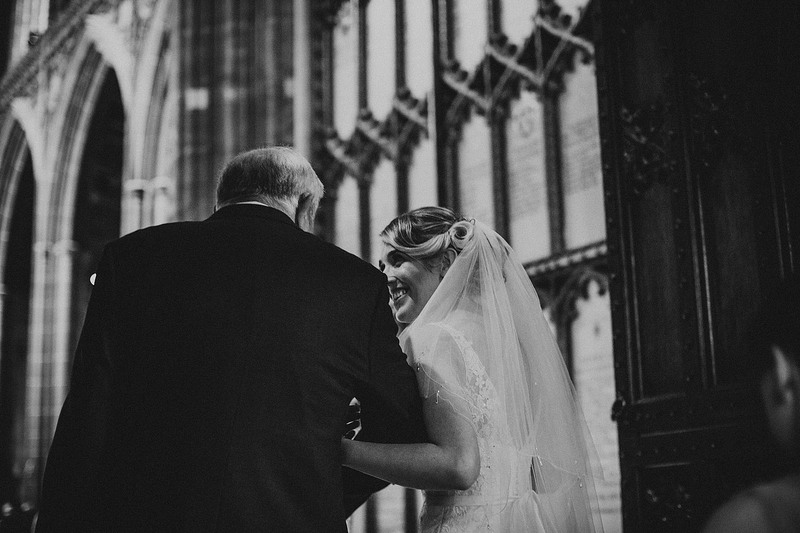 Oh how we love a city wedding, especially in our beloved Manchester! 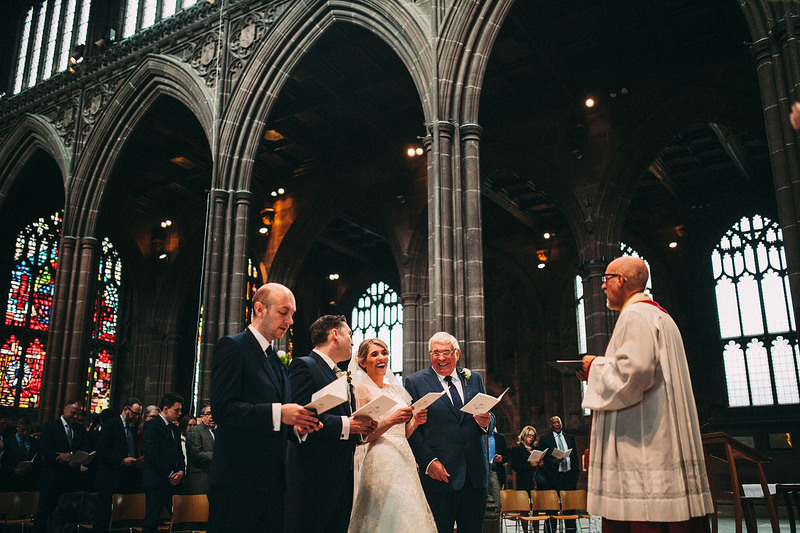 Vicky and Anthony tied the knot at Manchester Cathedral, which is incredibly beautiful and right in the heart of the city. 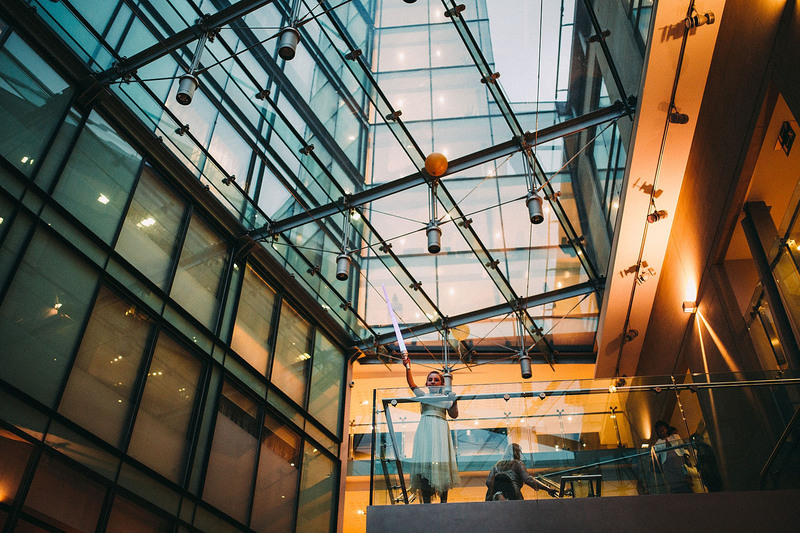 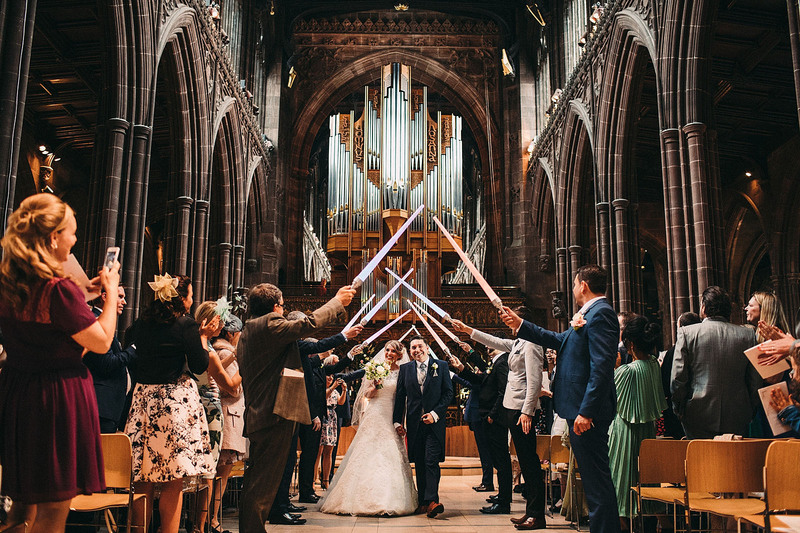 After a beautiful ceremony they exited through a tunnel of lightsabers (you don’t see that every day!) 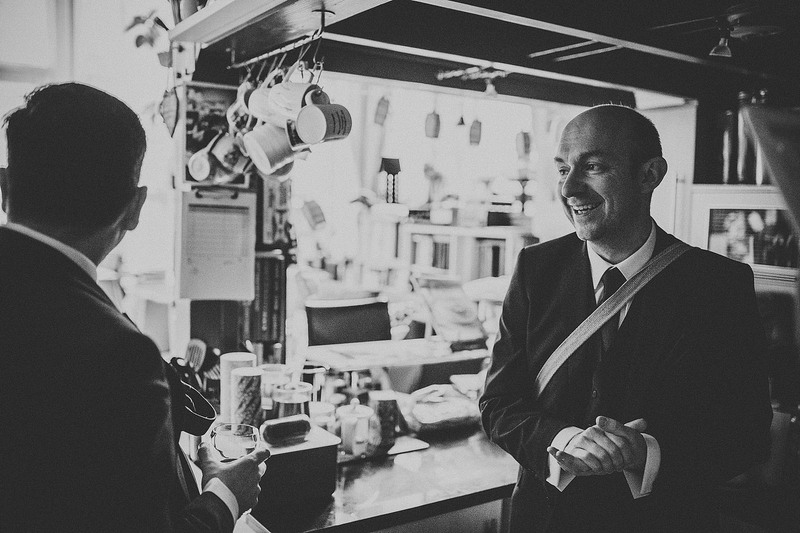 before heading off for a quick drink in one of their favourite bars, just the two of them (and us :-)). 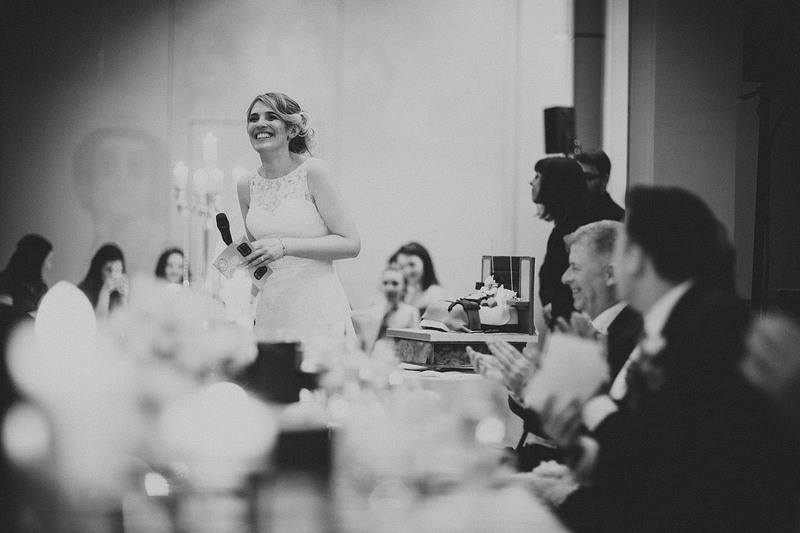 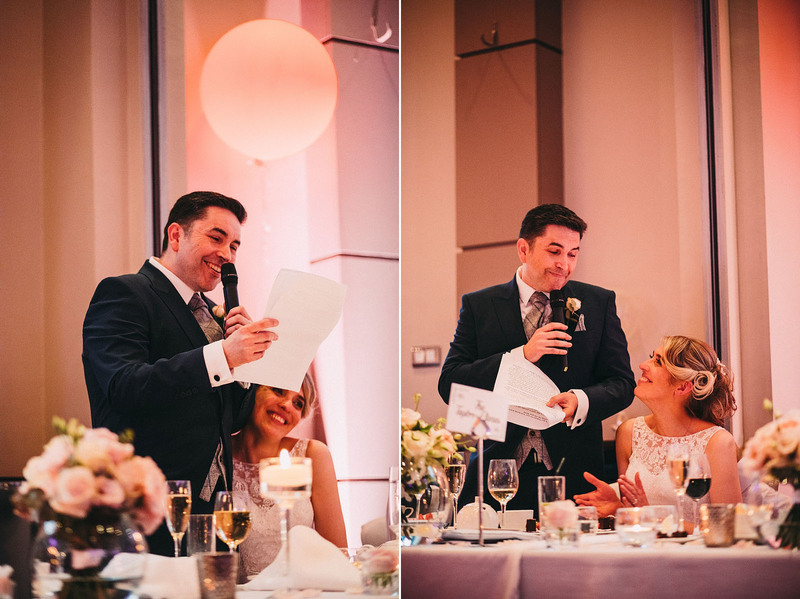 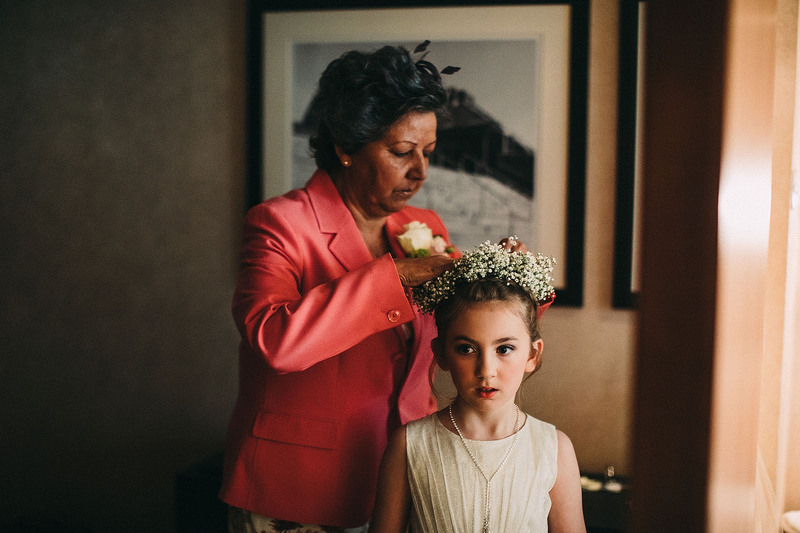 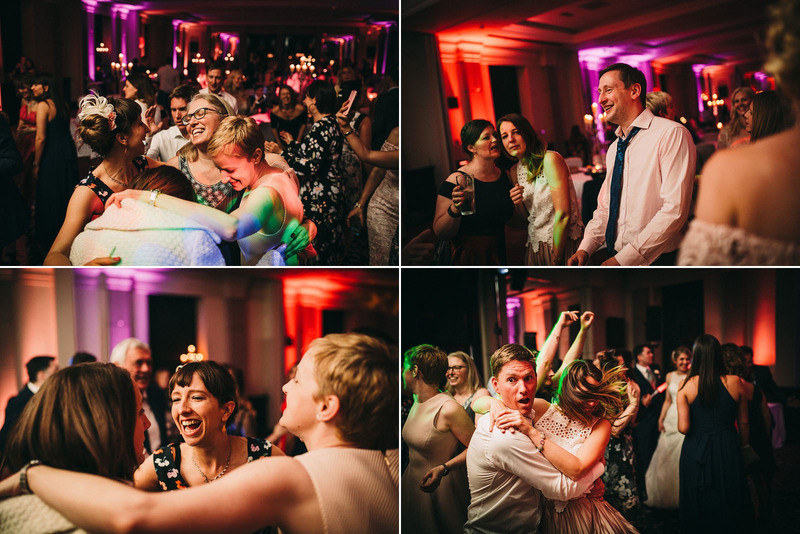 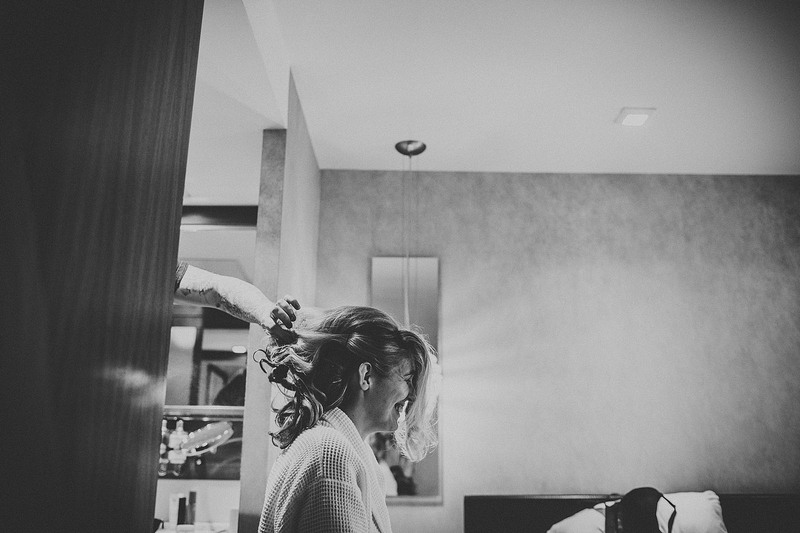 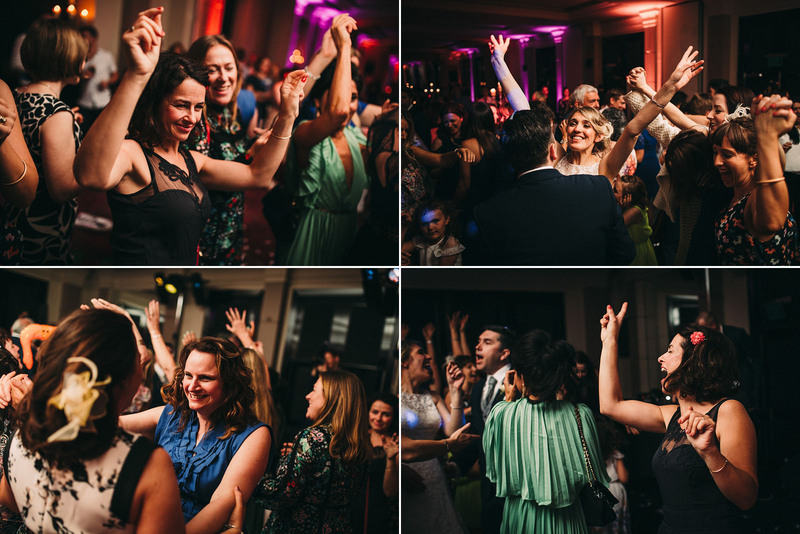 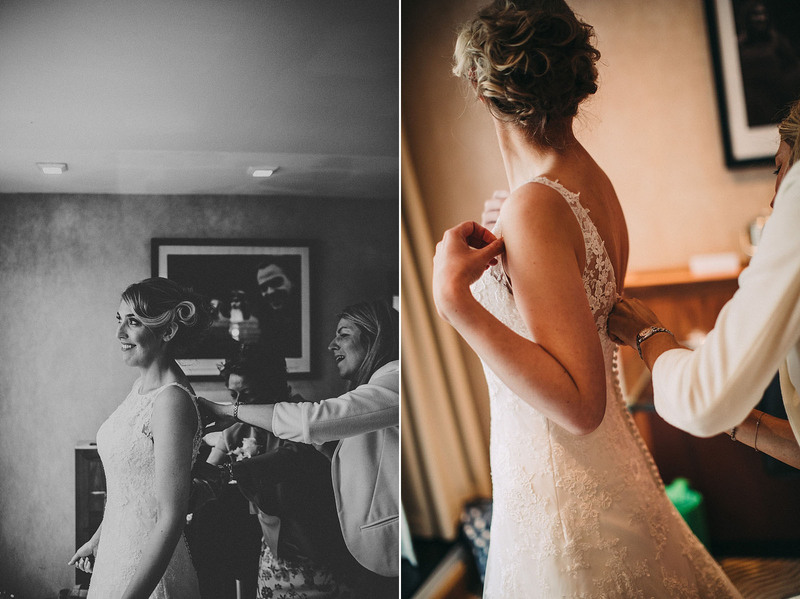 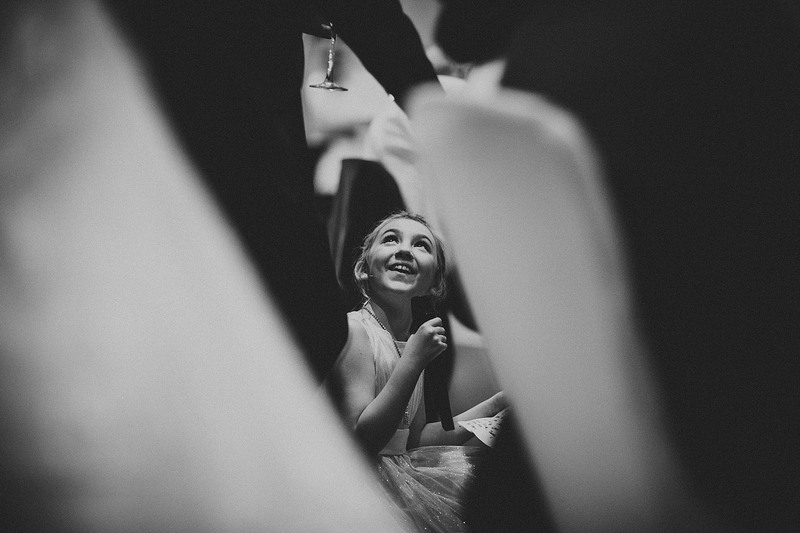 The celebrating continued at the Radisson with their nearest and dearest, and it was an absolutely brilliant day. 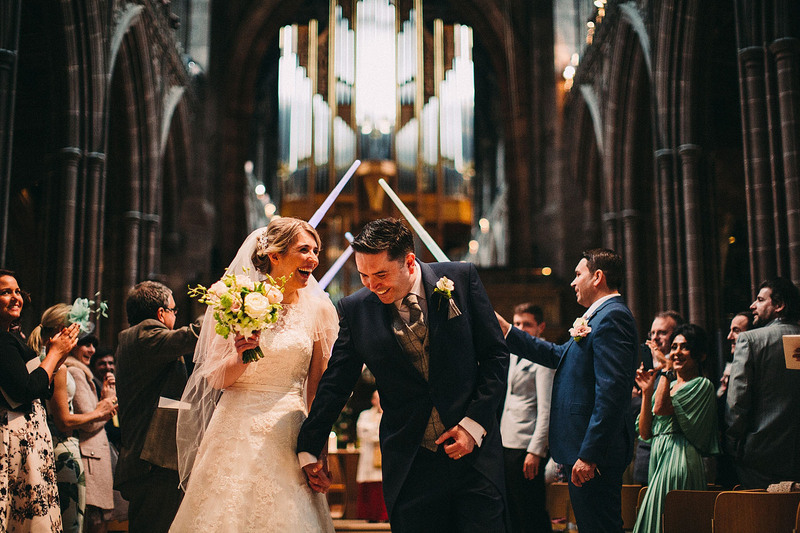 Mega work Lawsons! 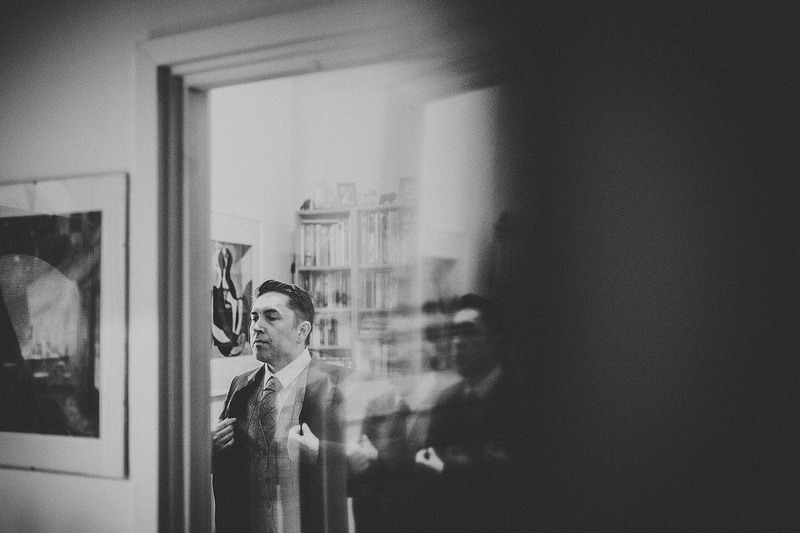 Love the reflections. 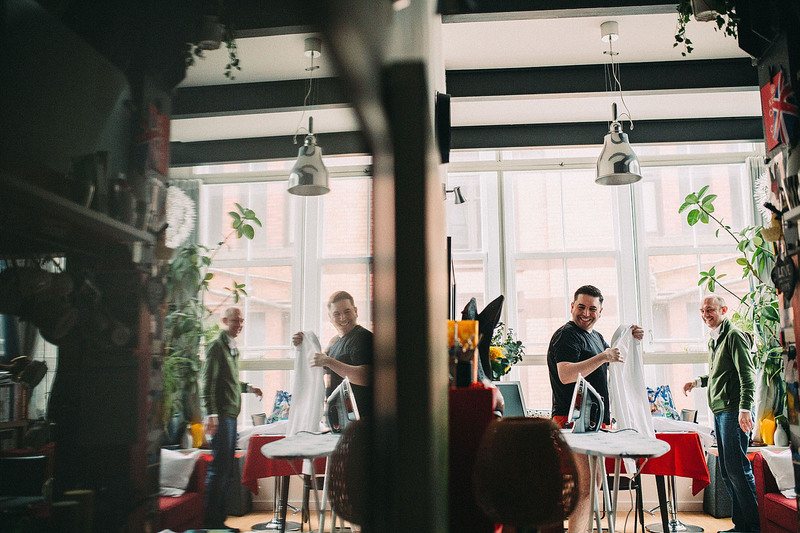 Great work as usual guys! 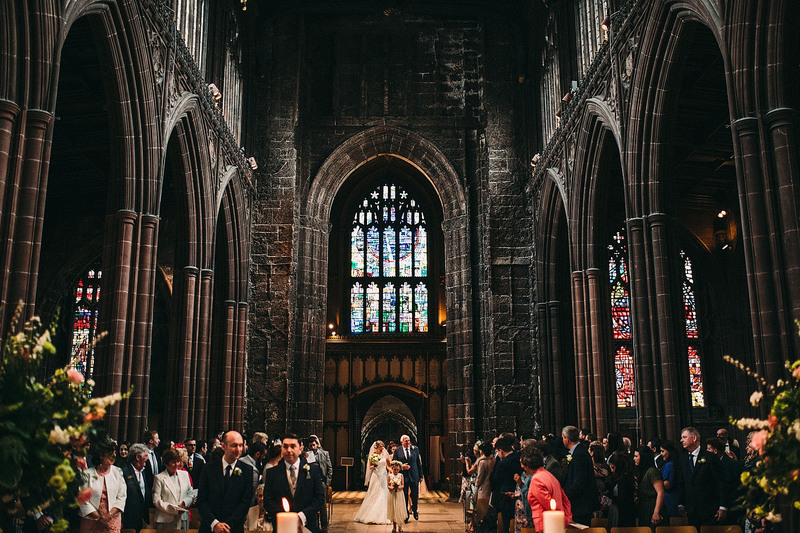 What a stunning Cathedral!! 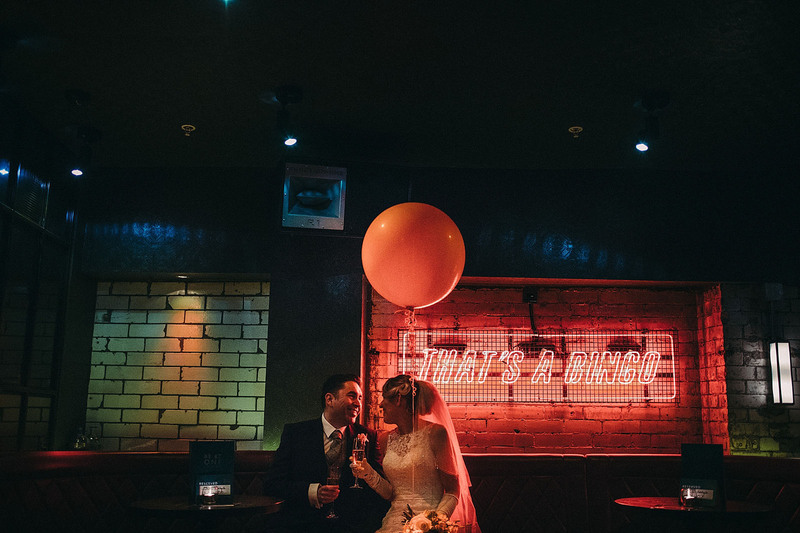 Gorgeous album! 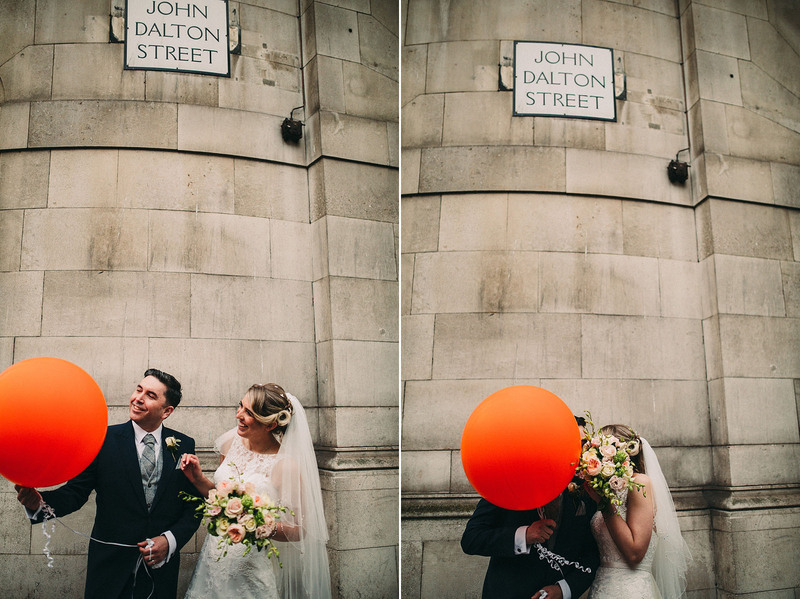 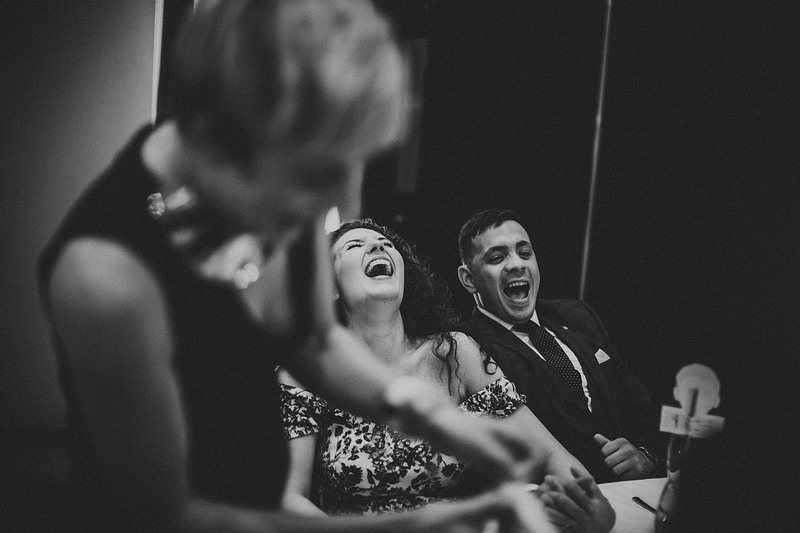 looks like a fun wedding, very well captured!